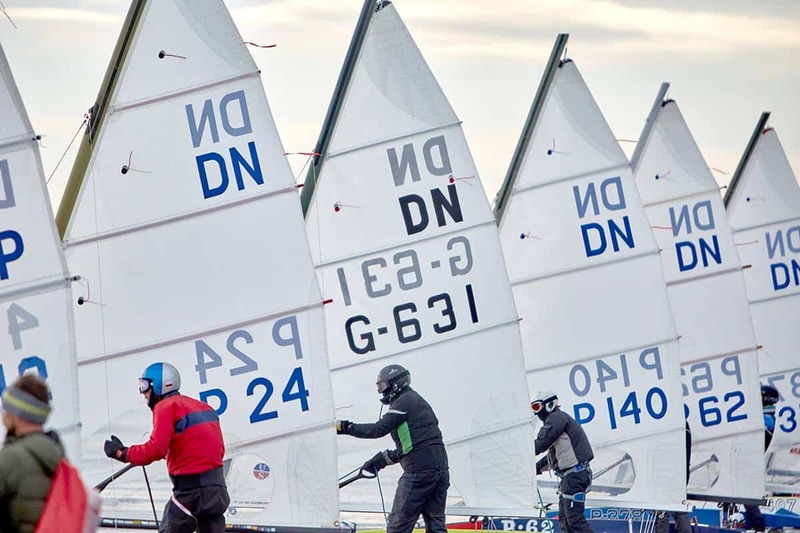 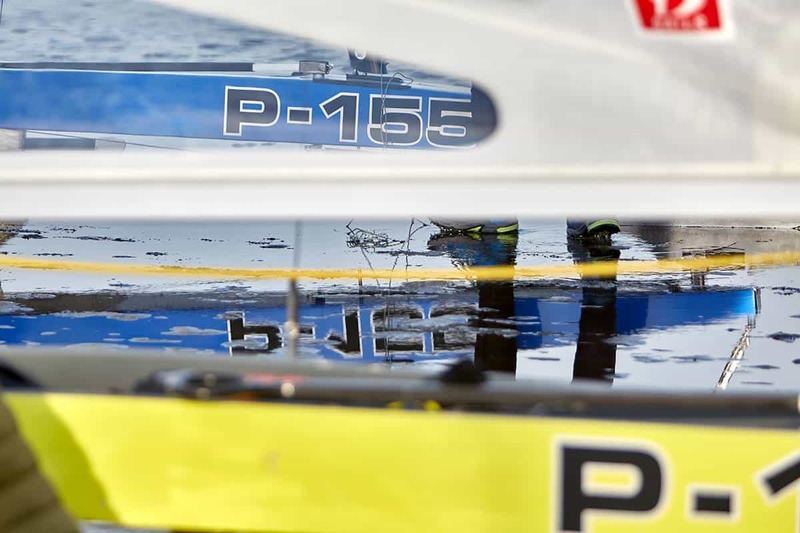 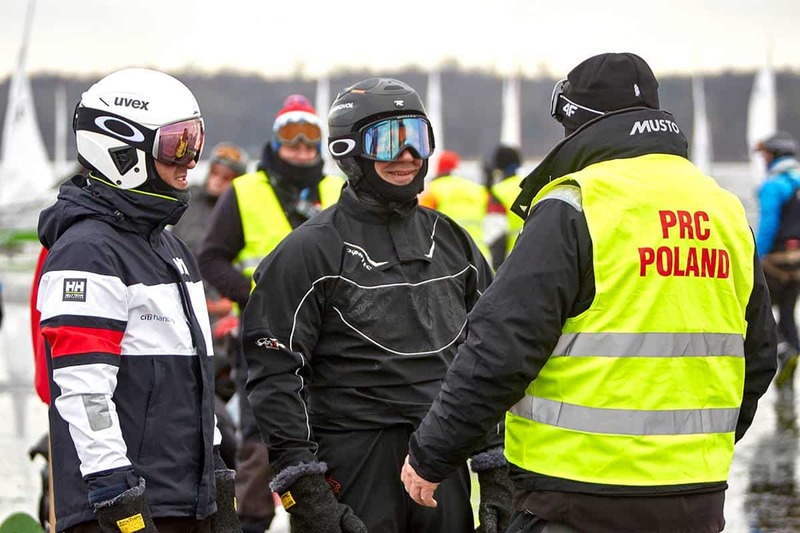 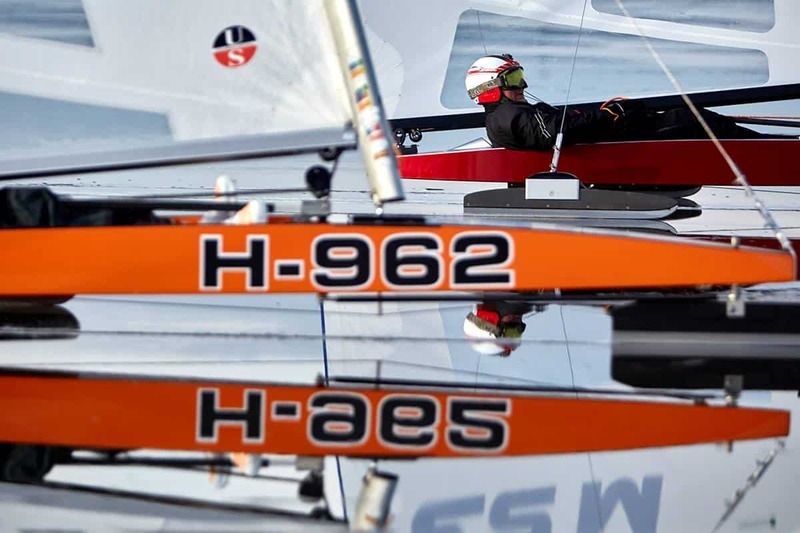 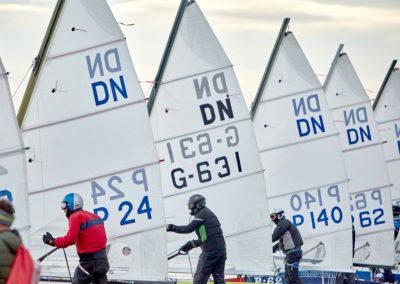 The Polish Championship is a major stop on the DN regatta circuit and attracts competitors from all over Europe. 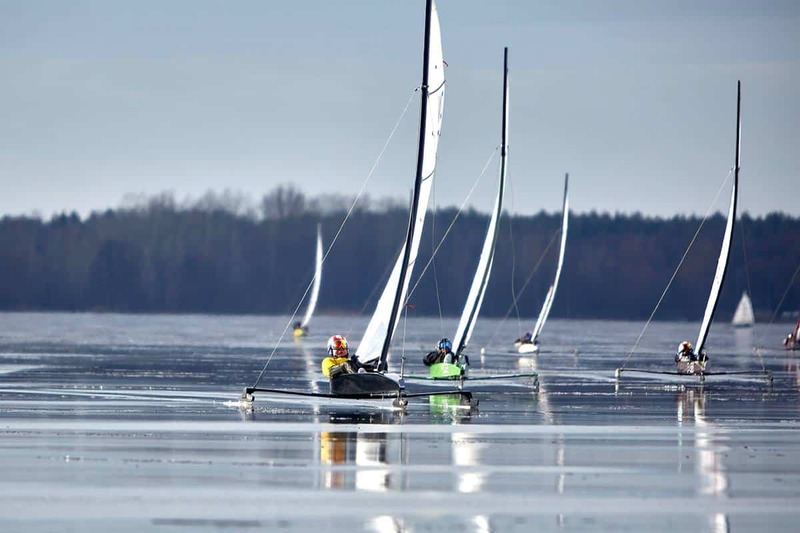 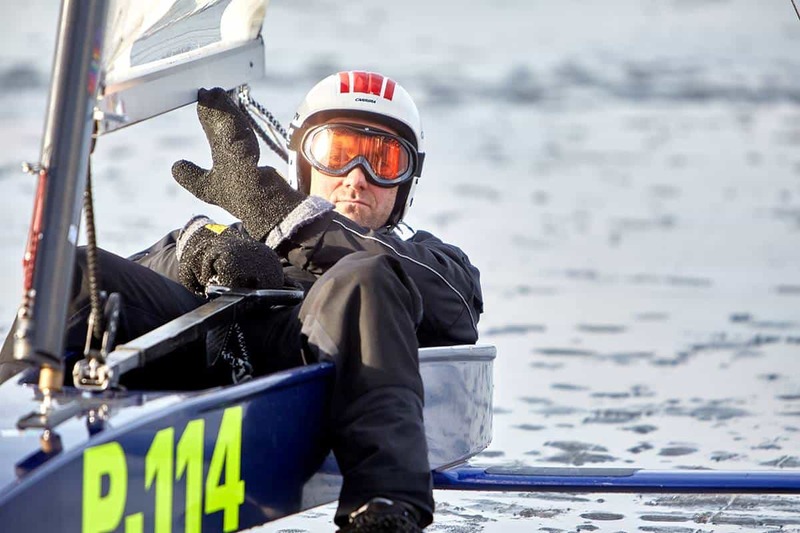 This weekend regatta started today on the Zegrze Reservoir near Warsaw. 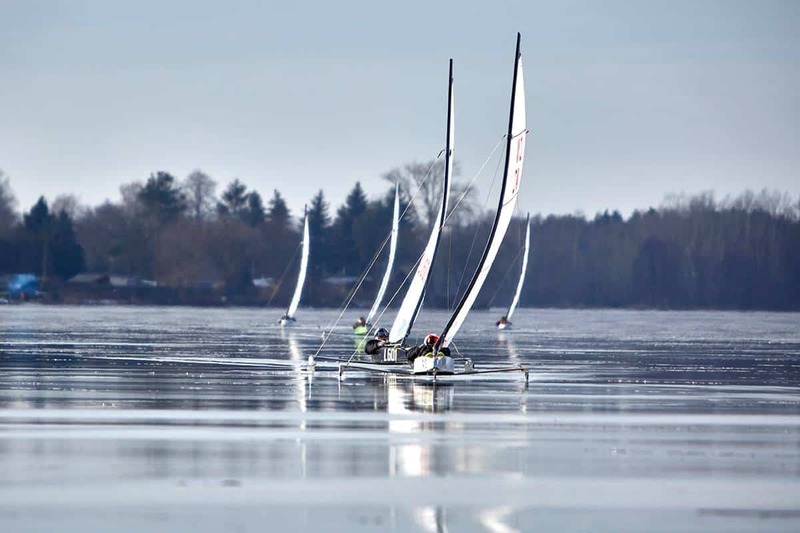 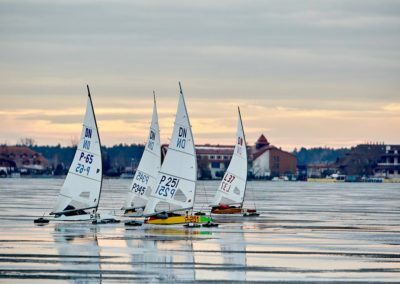 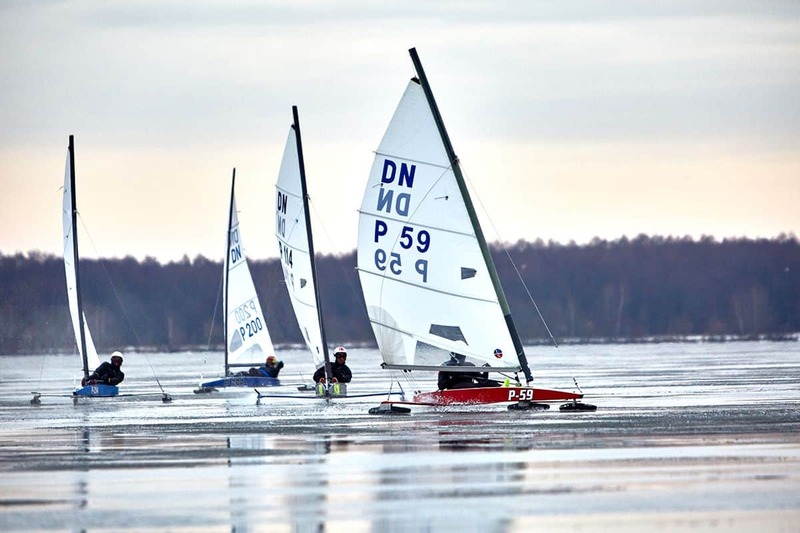 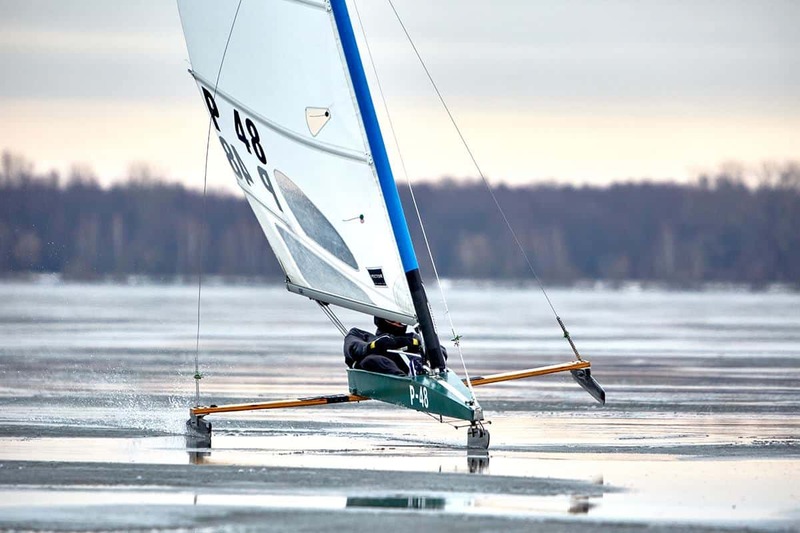 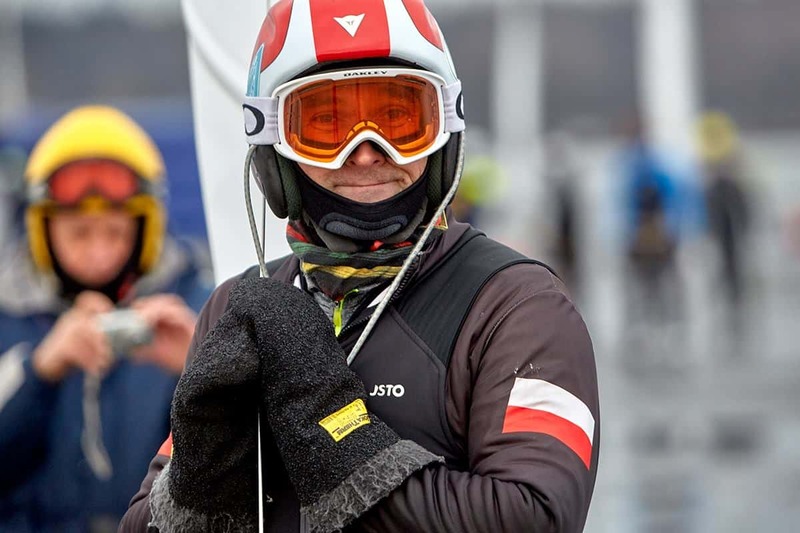 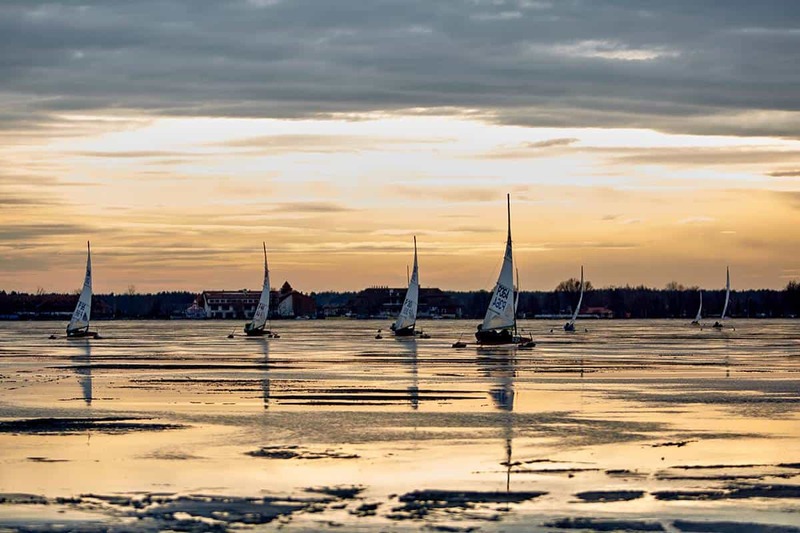 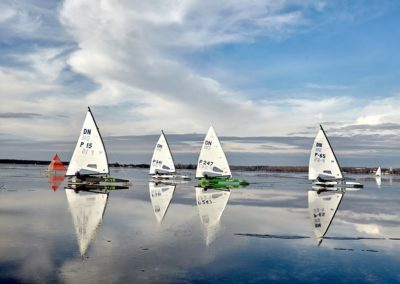 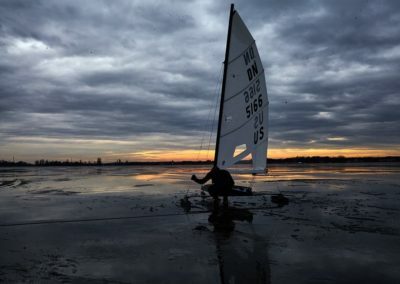 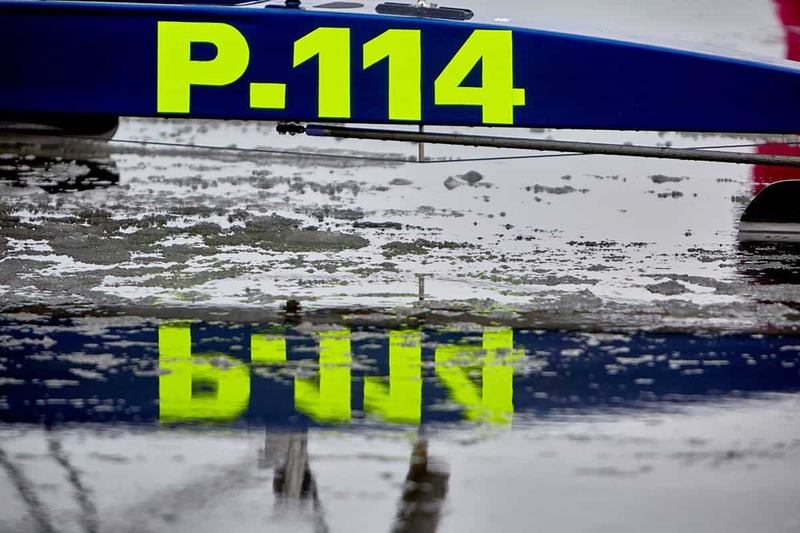 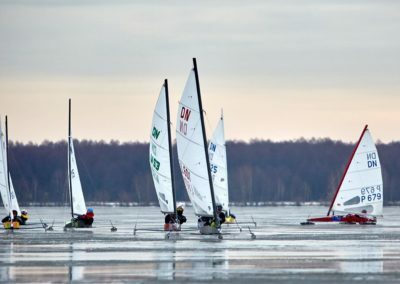 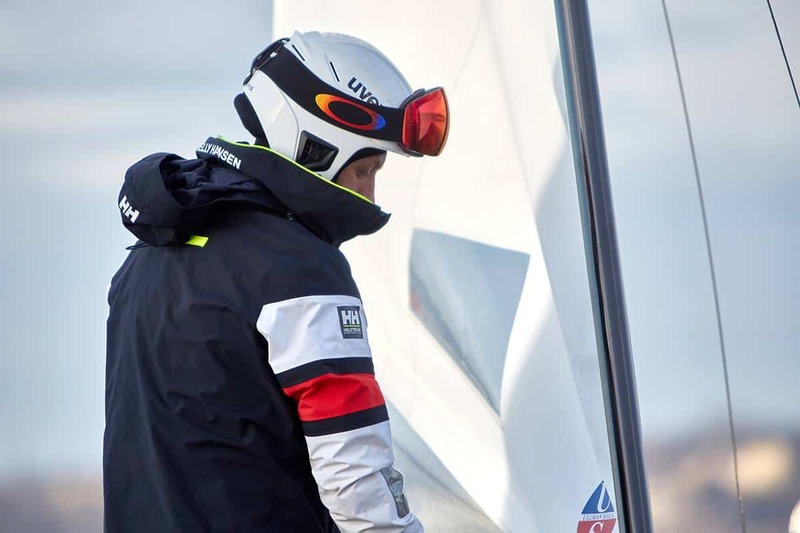 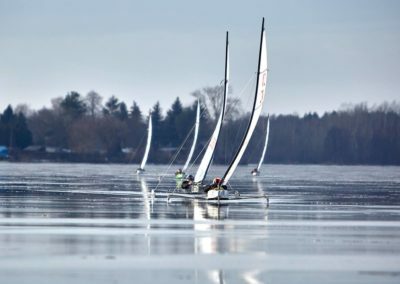 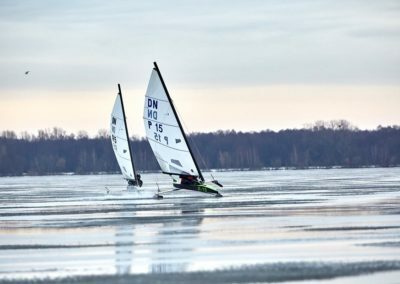 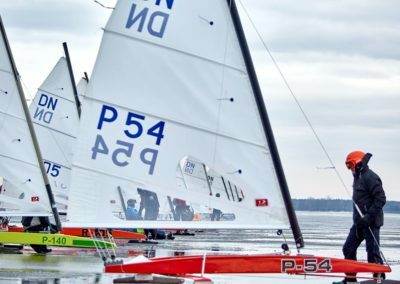 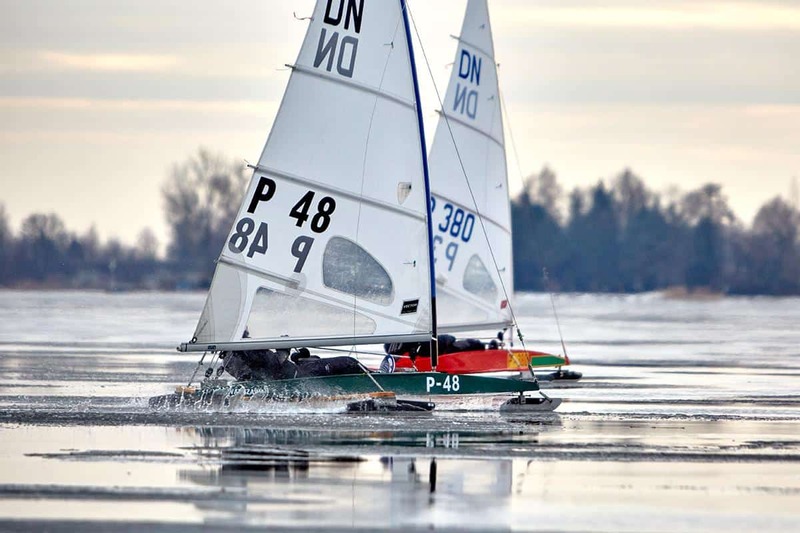 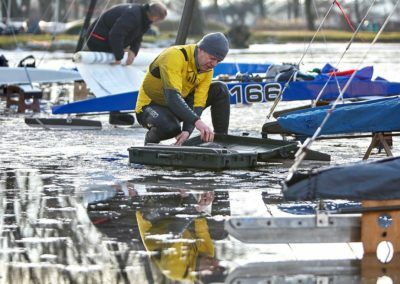 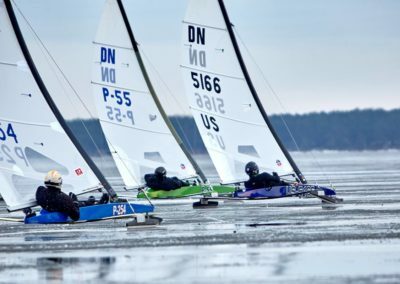 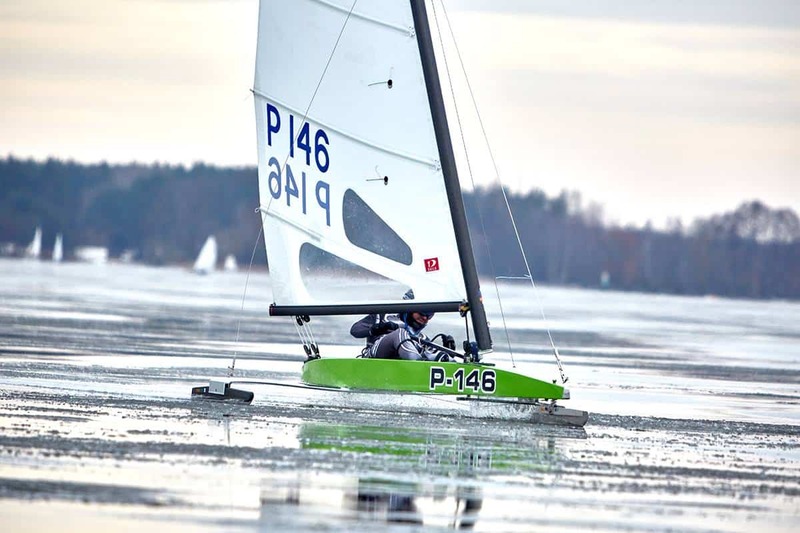 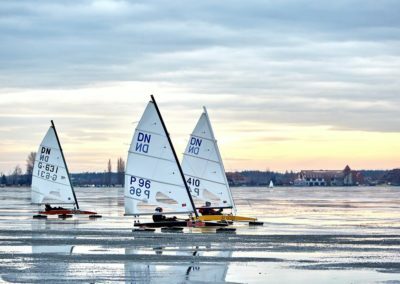 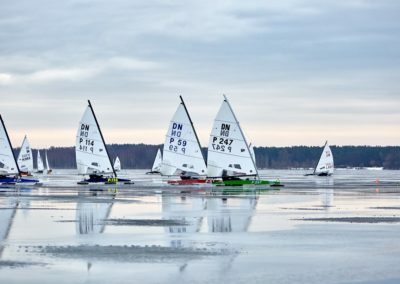 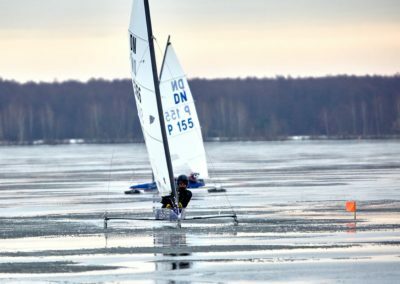 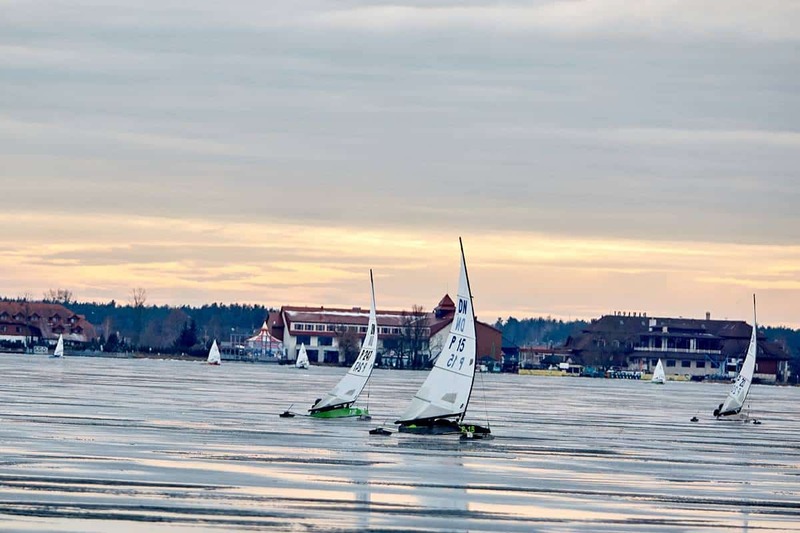 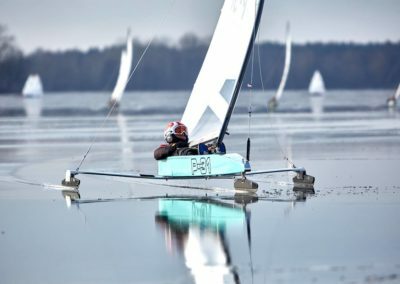 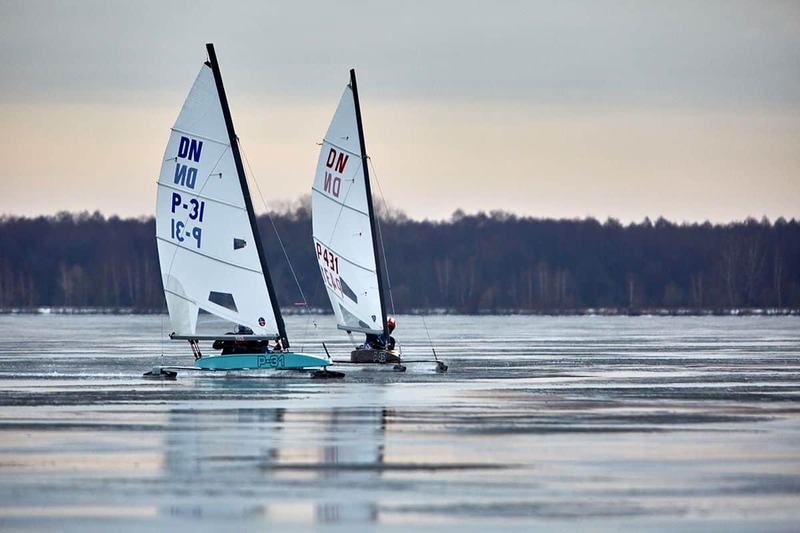 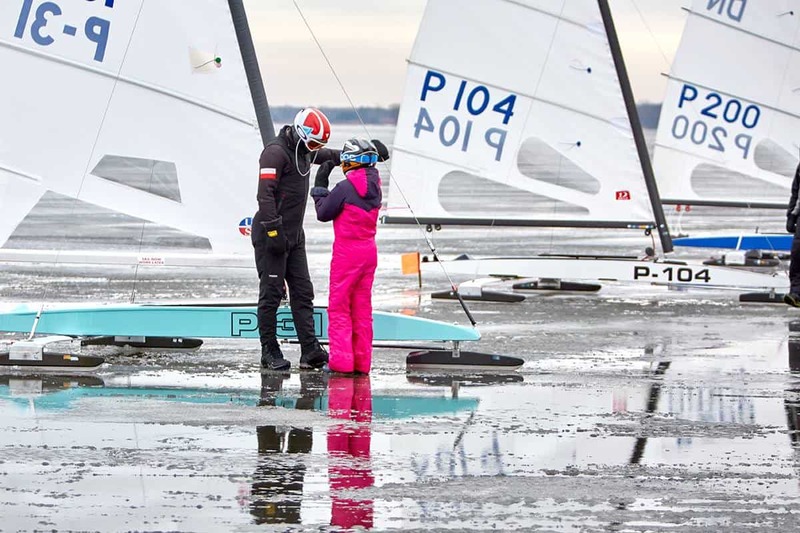 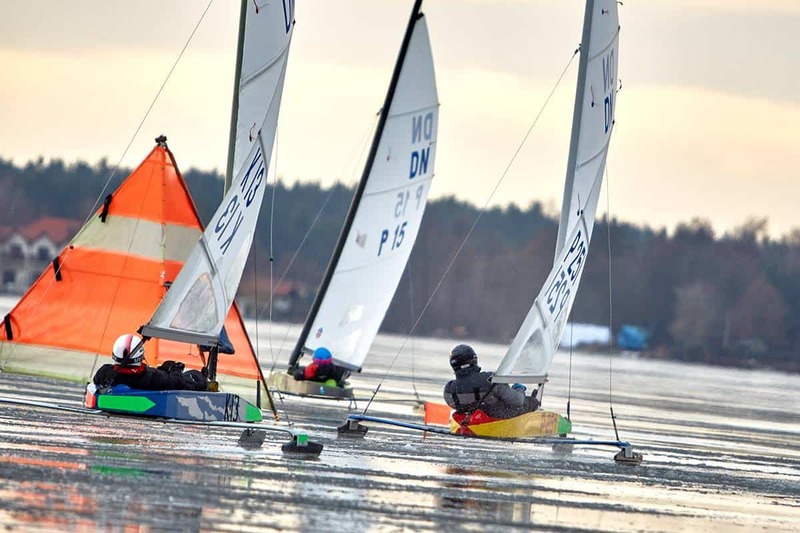 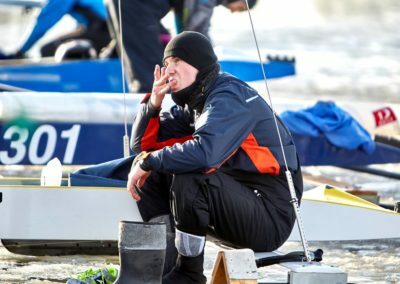 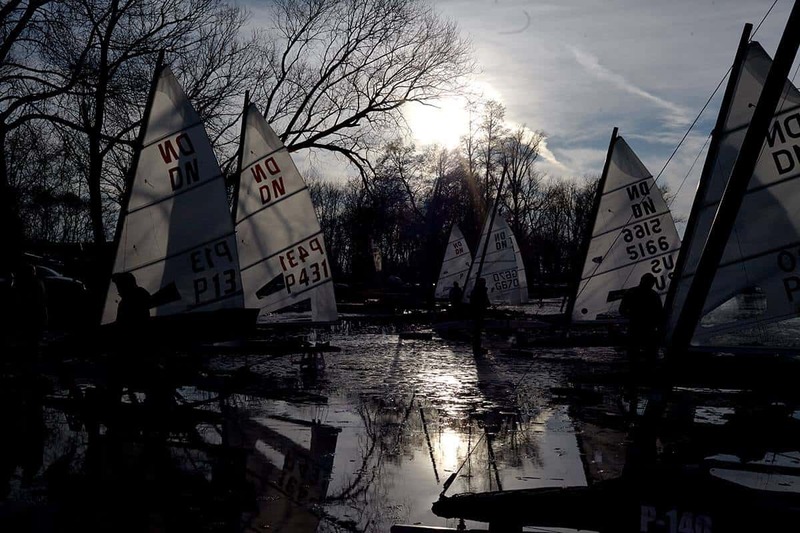 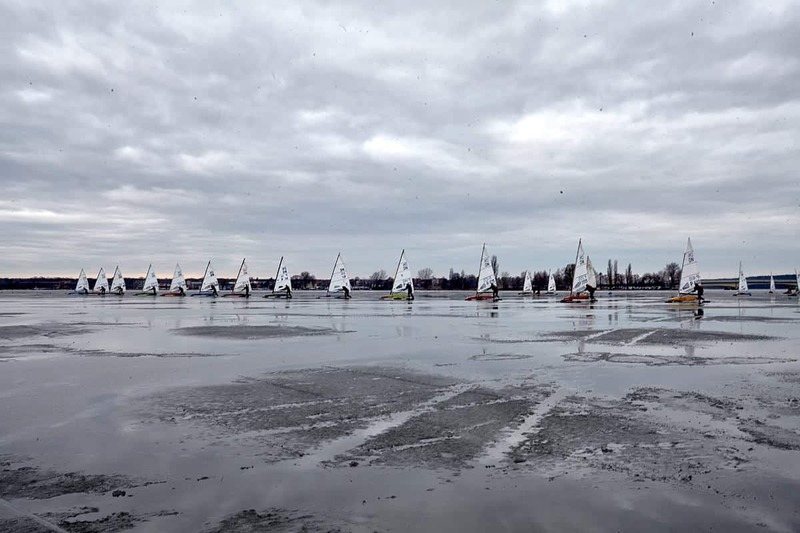 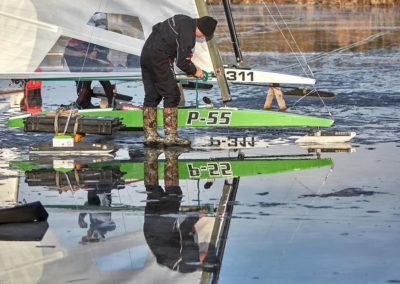 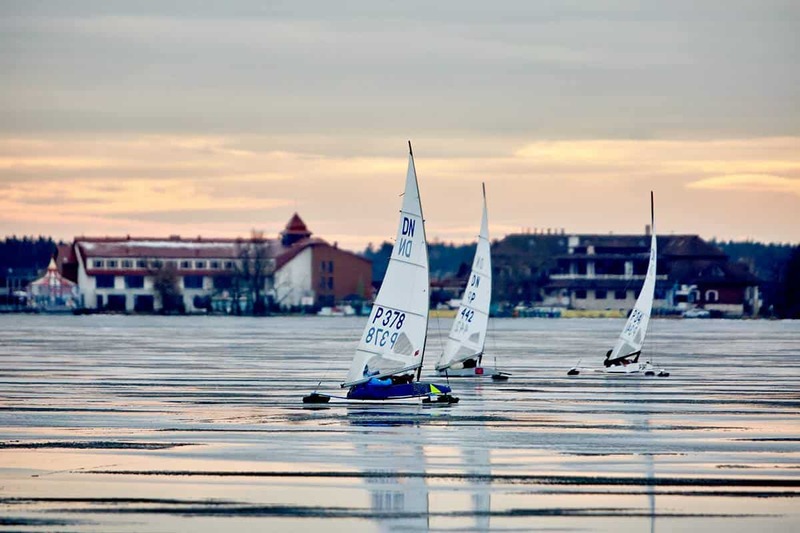 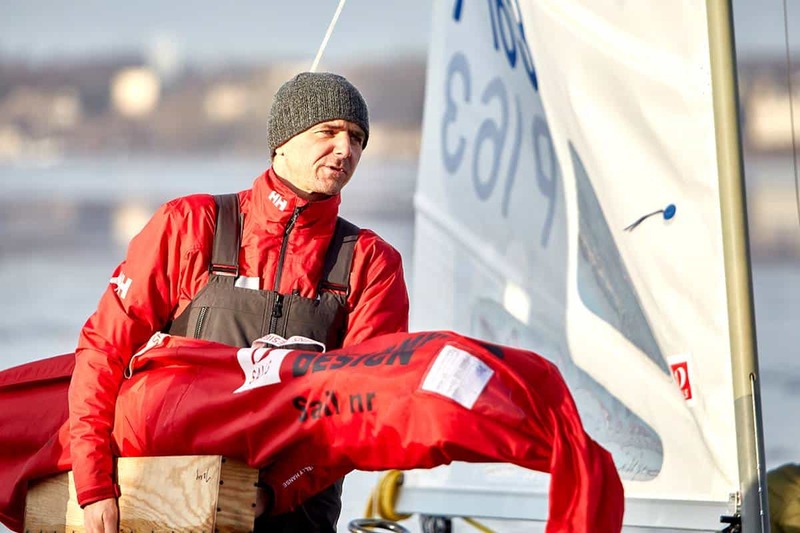 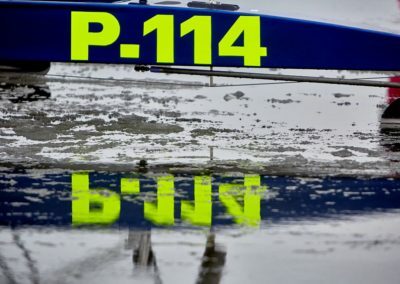 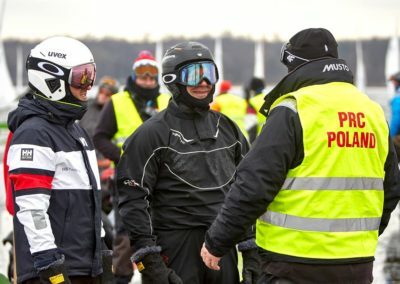 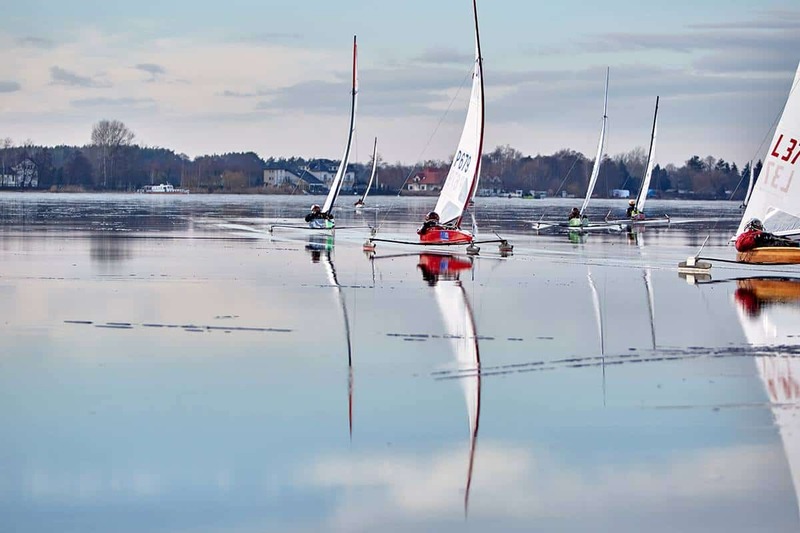 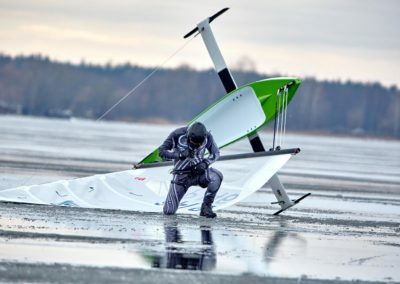 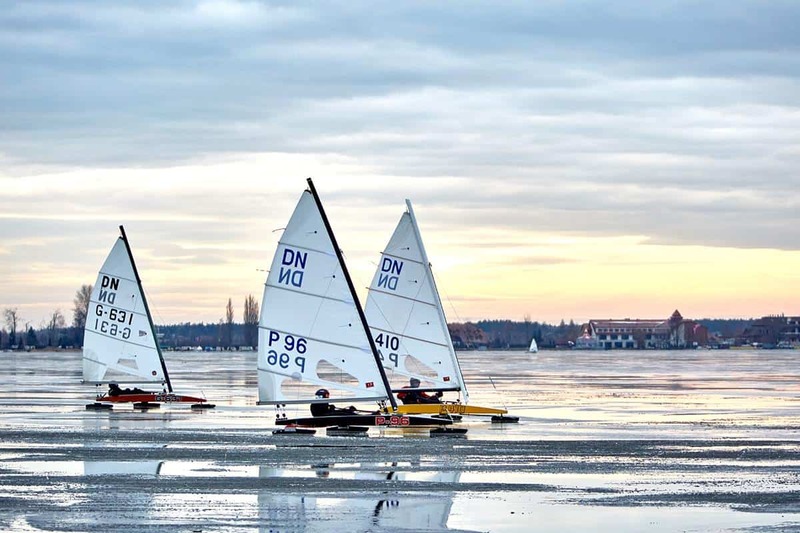 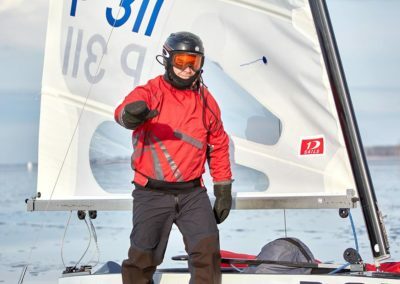 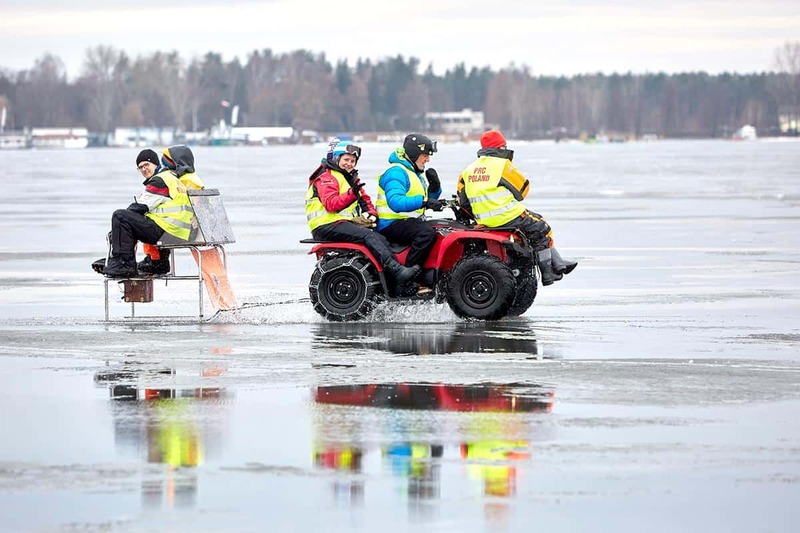 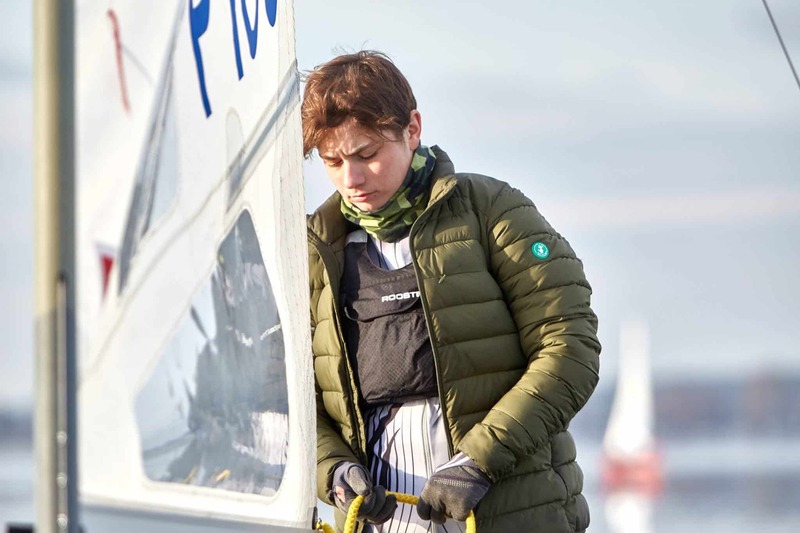 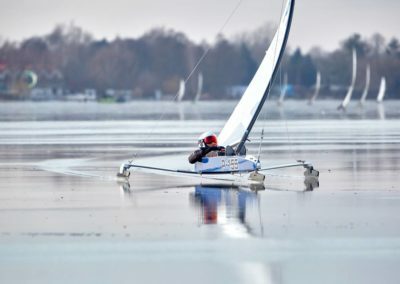 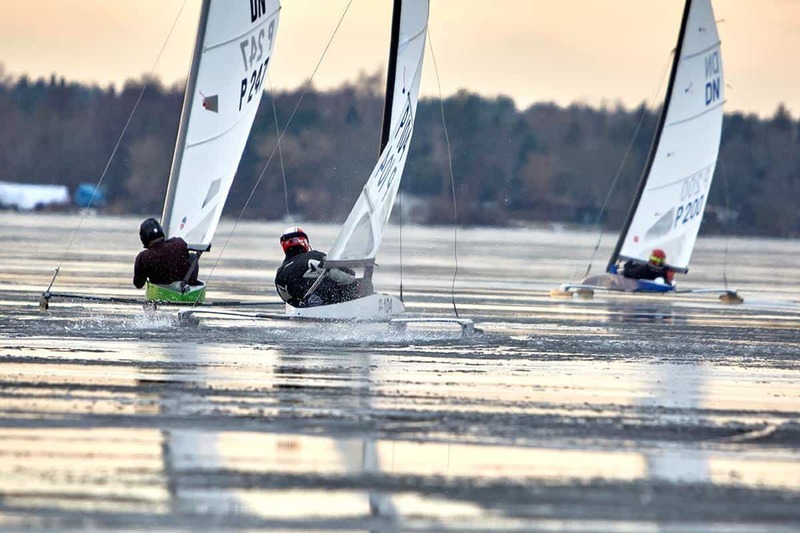 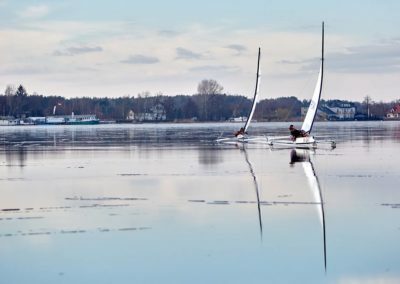 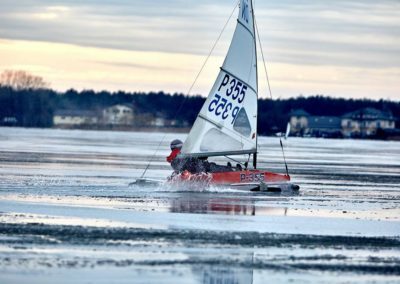 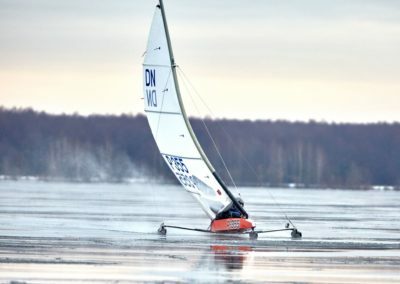 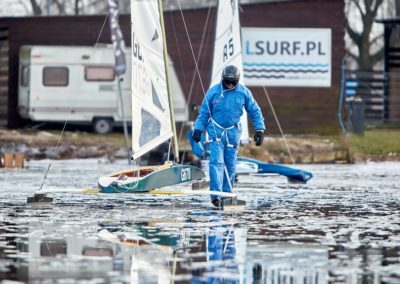 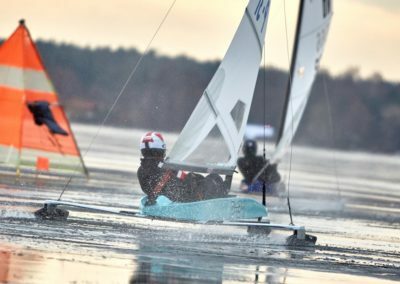 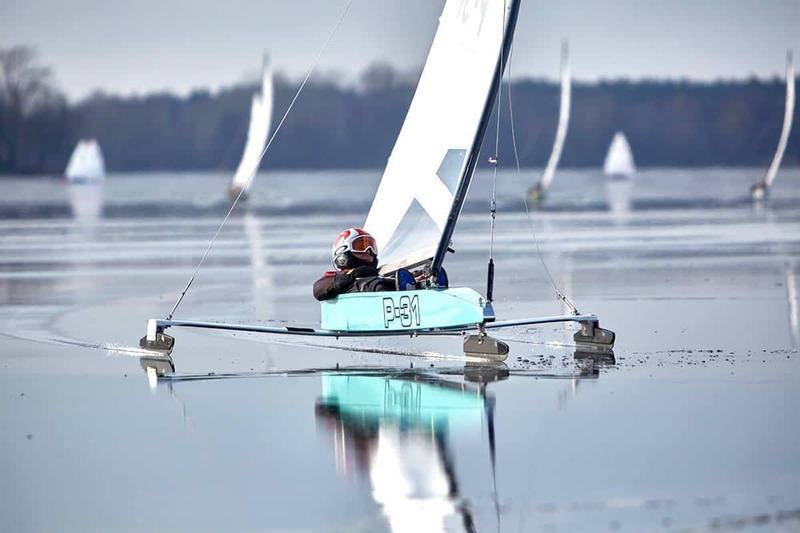 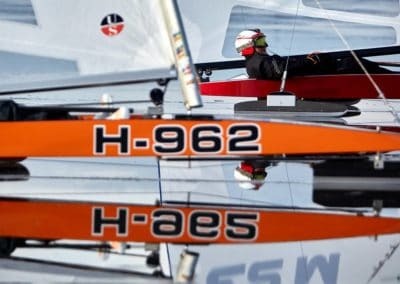 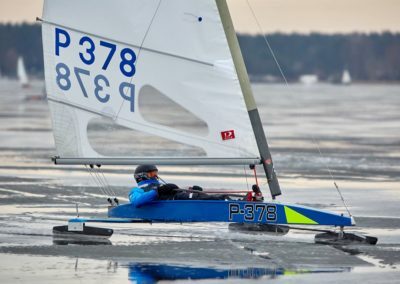 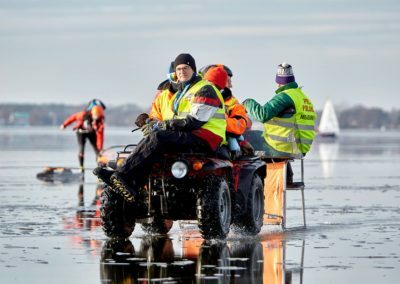 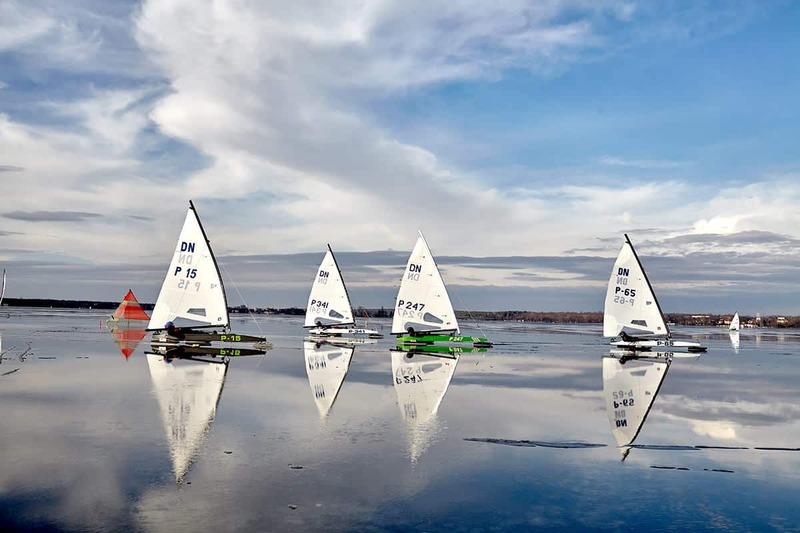 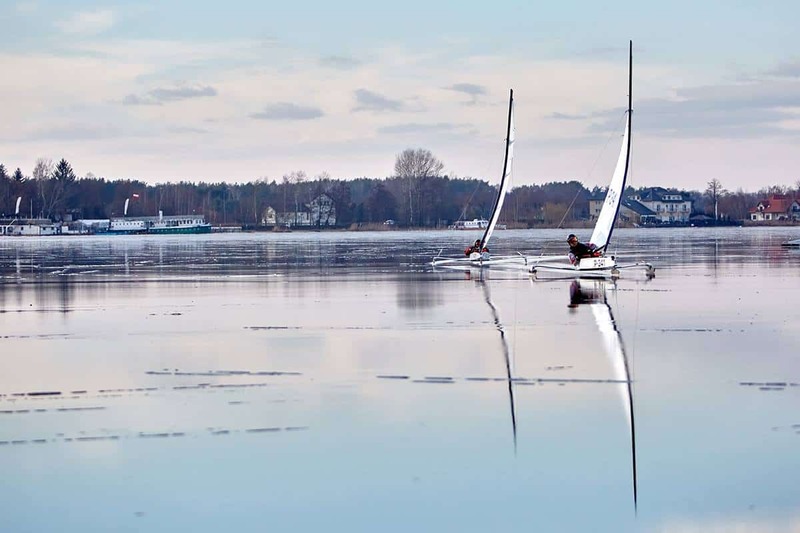 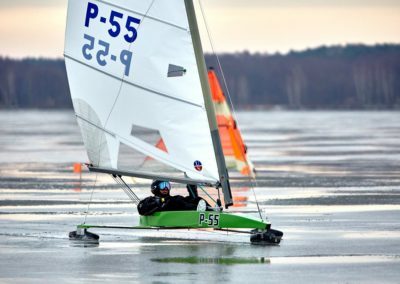 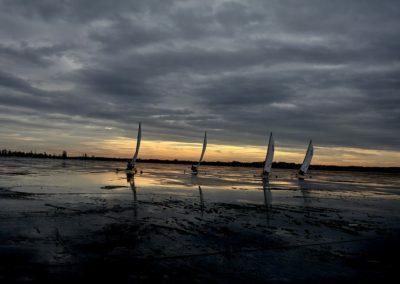 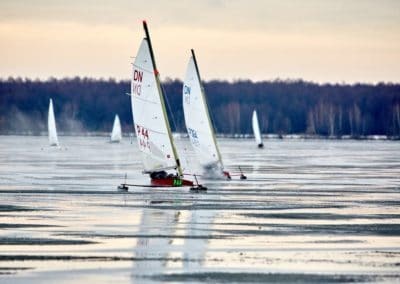 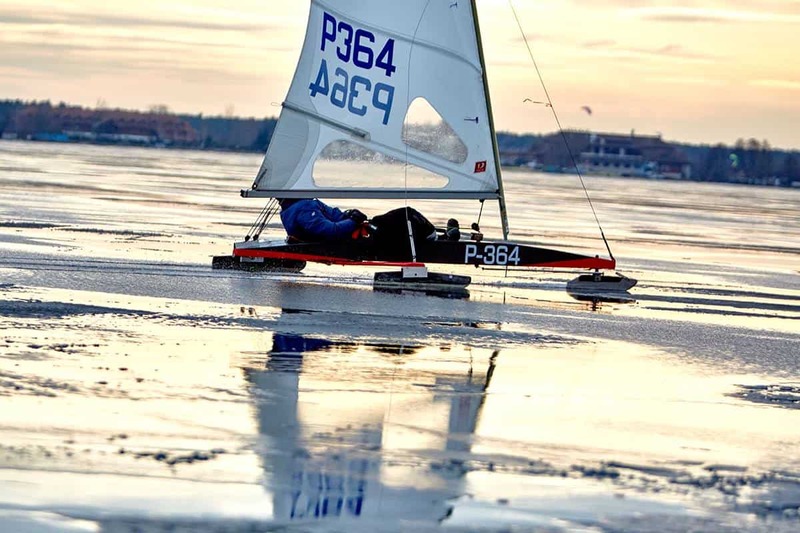 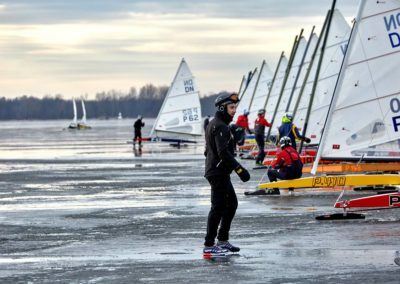 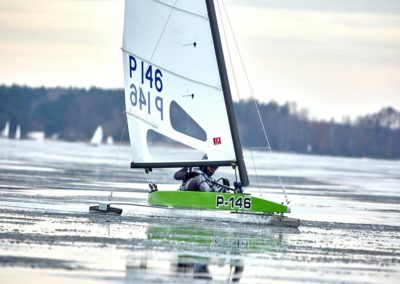 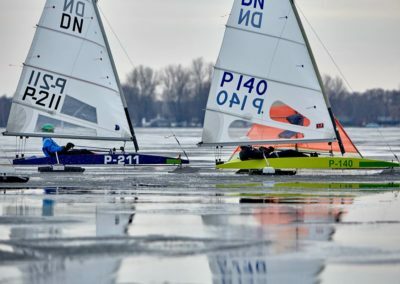 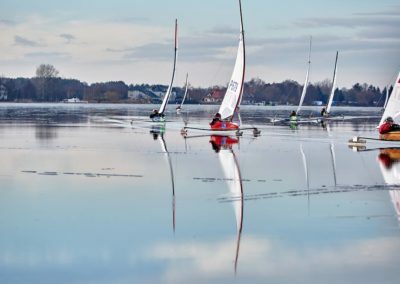 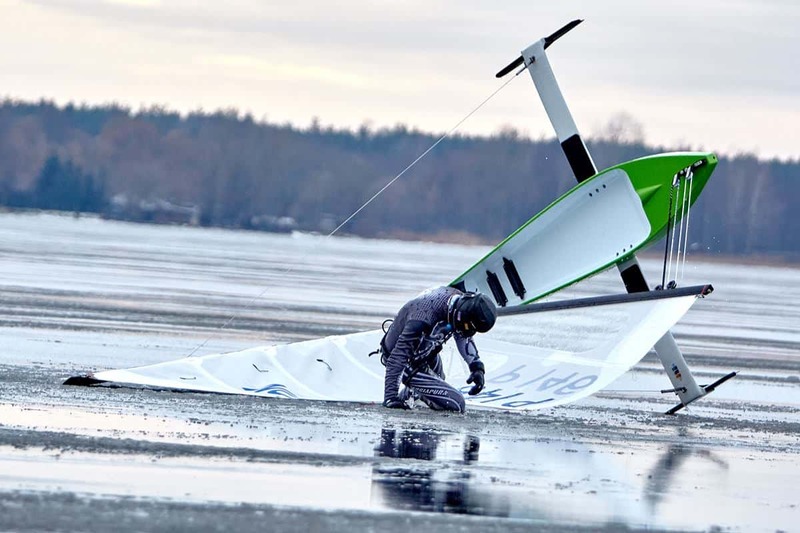 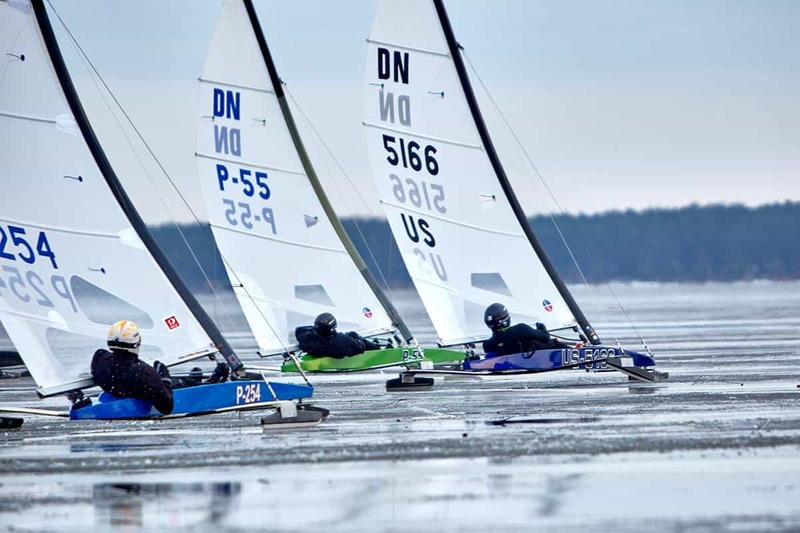 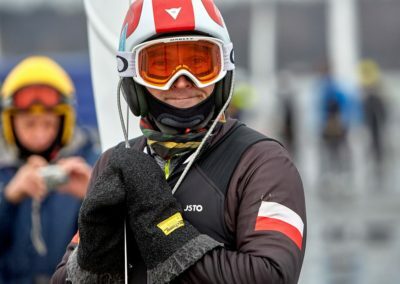 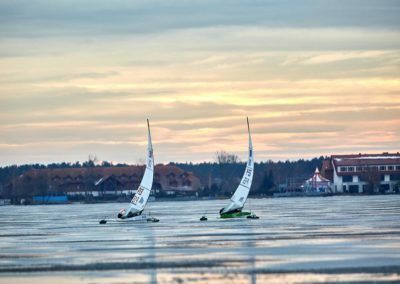 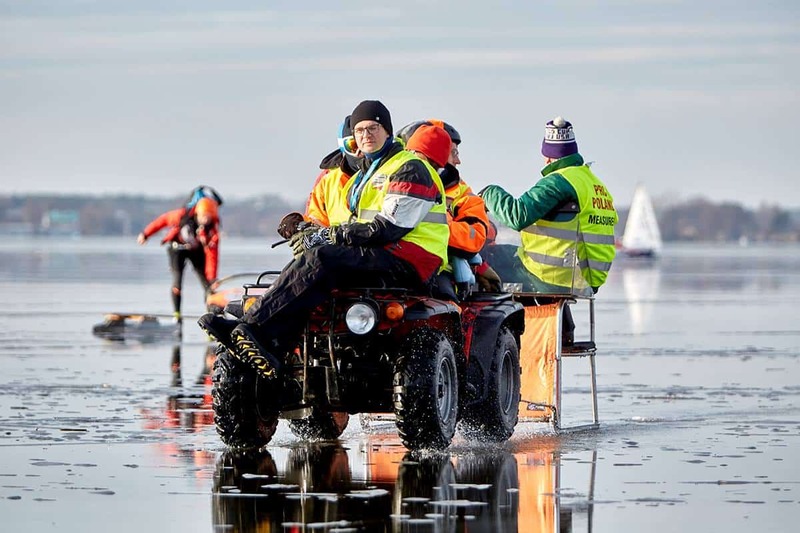 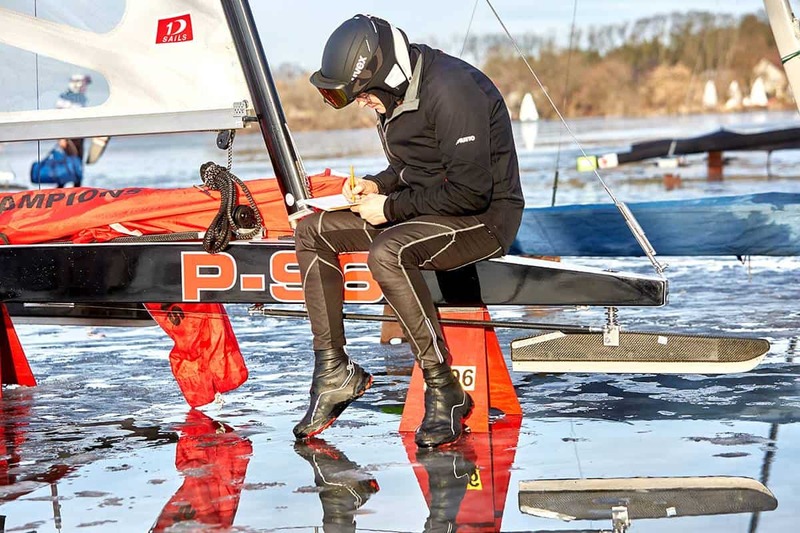 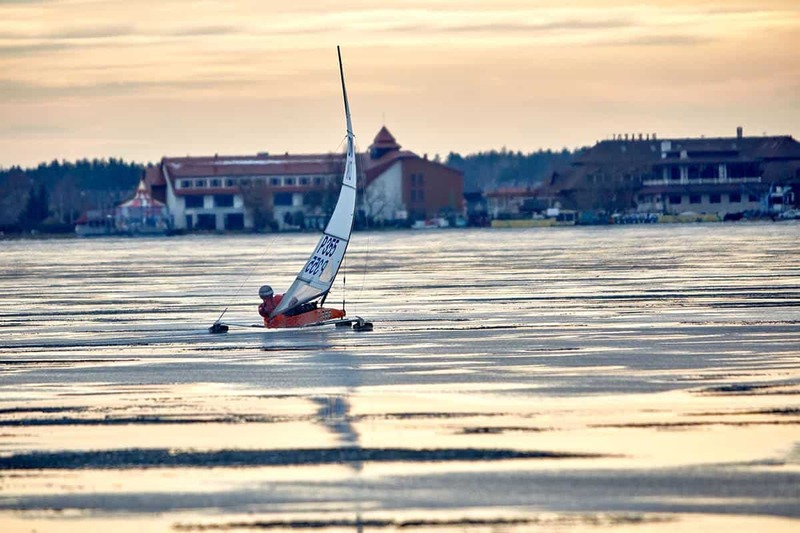 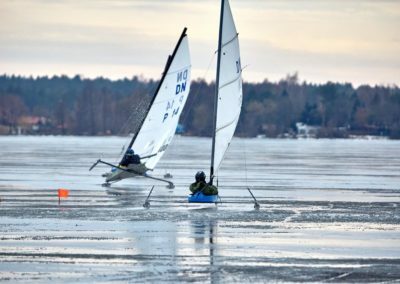 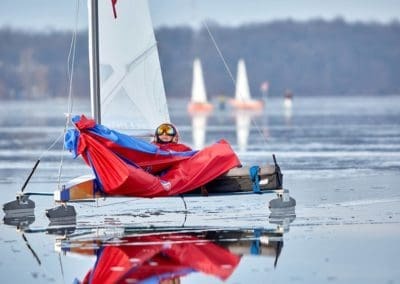 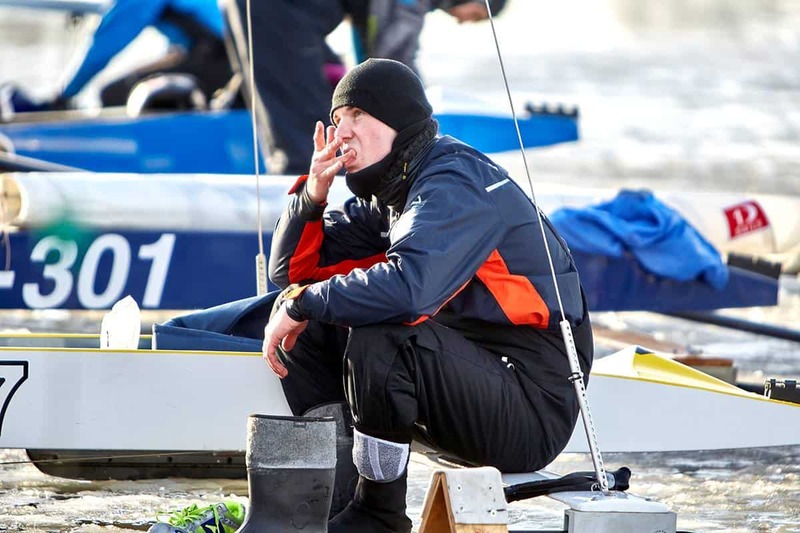 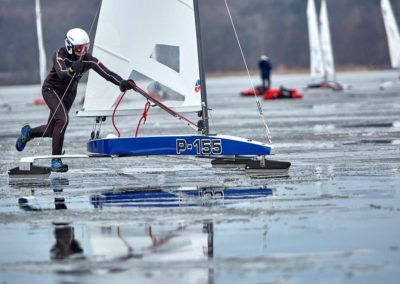 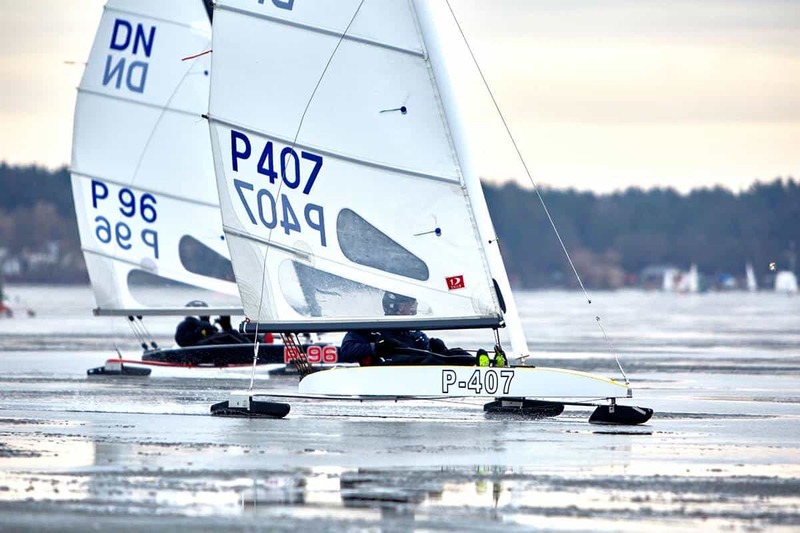 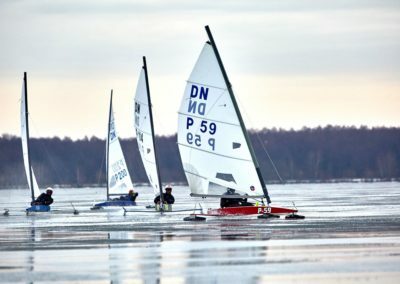 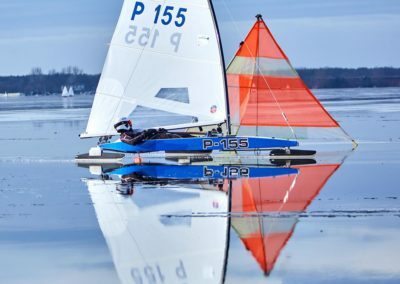 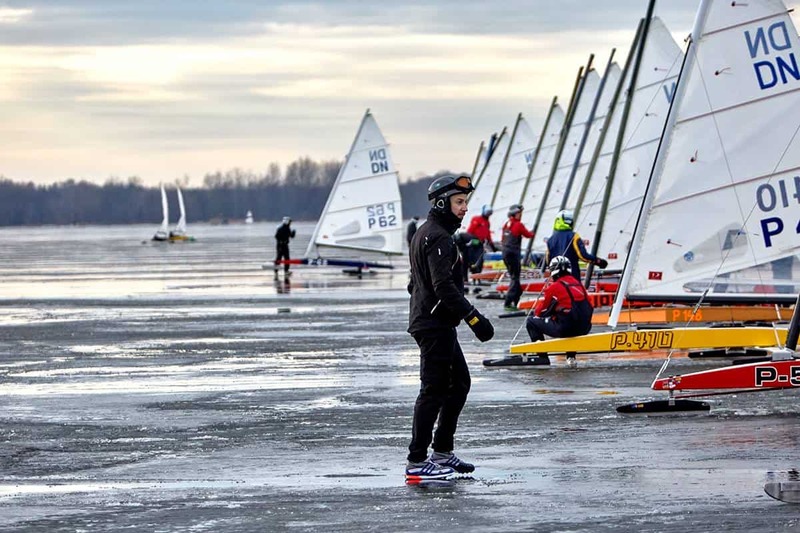 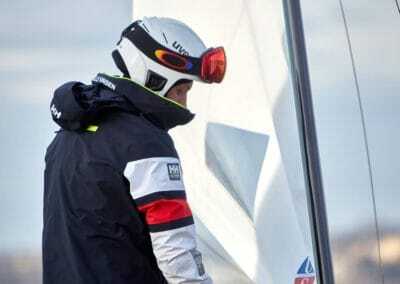 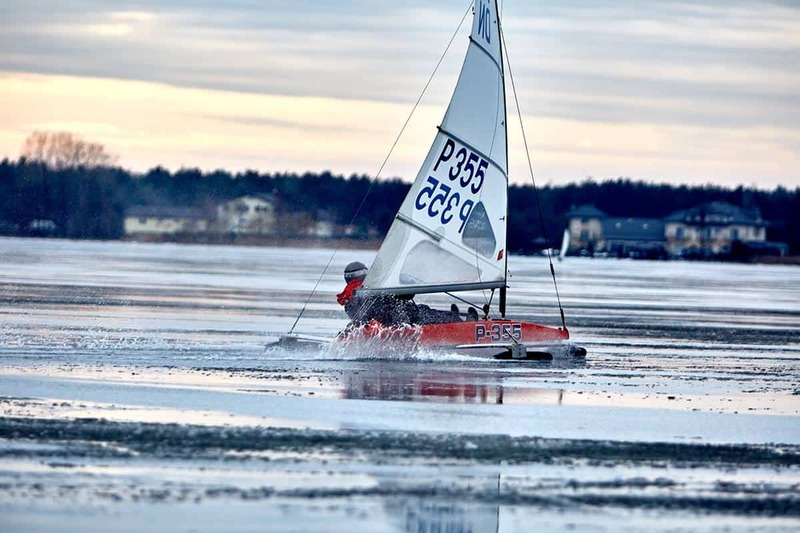 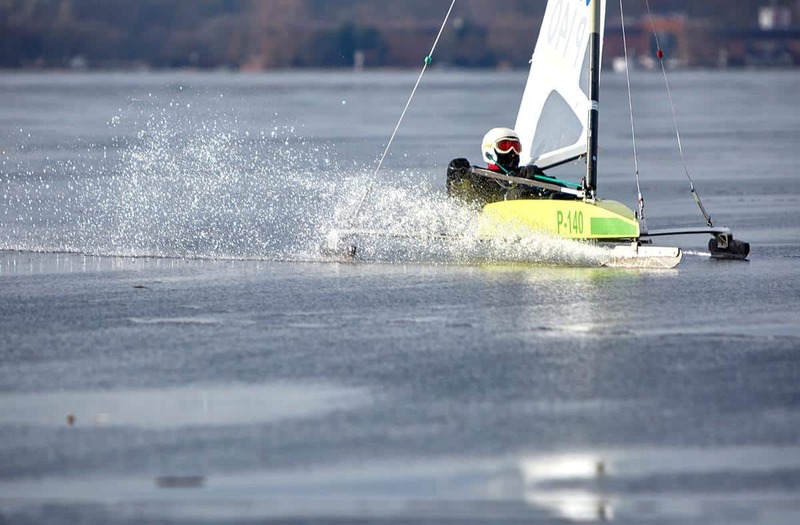 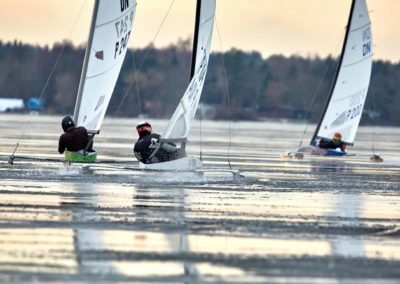 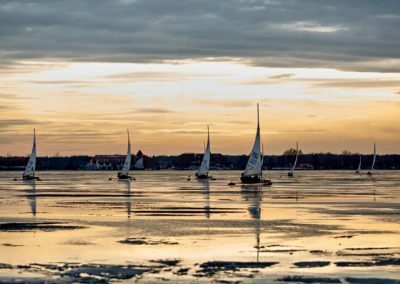 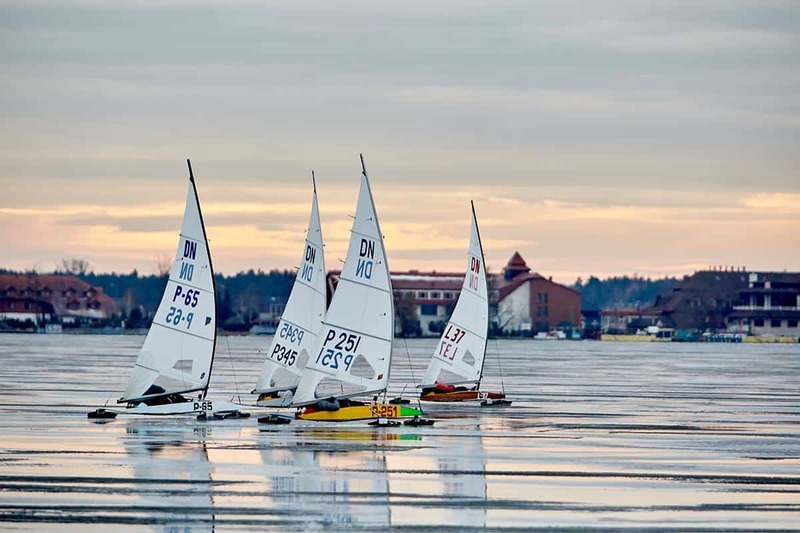 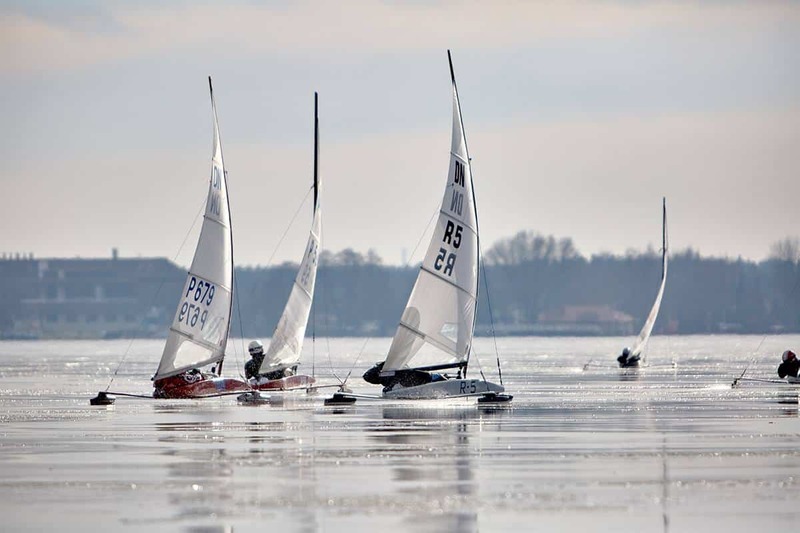 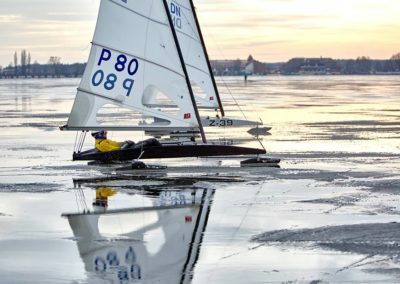 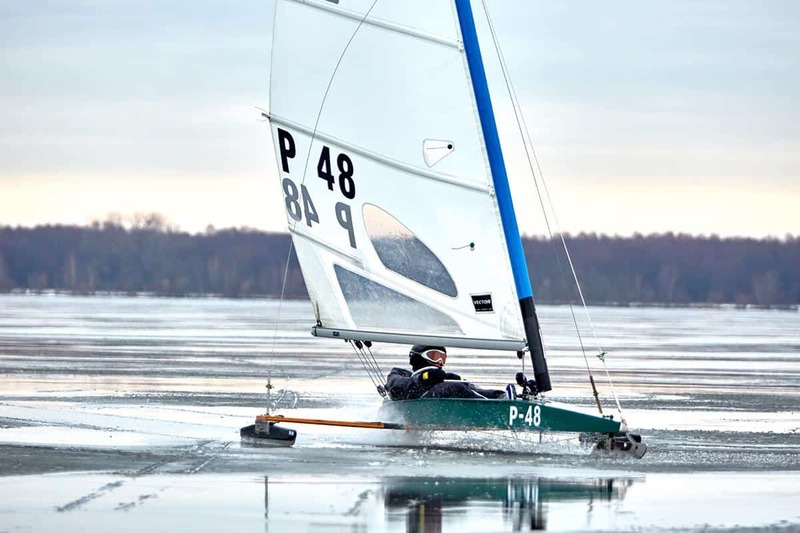 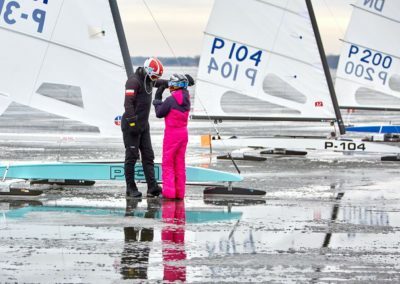 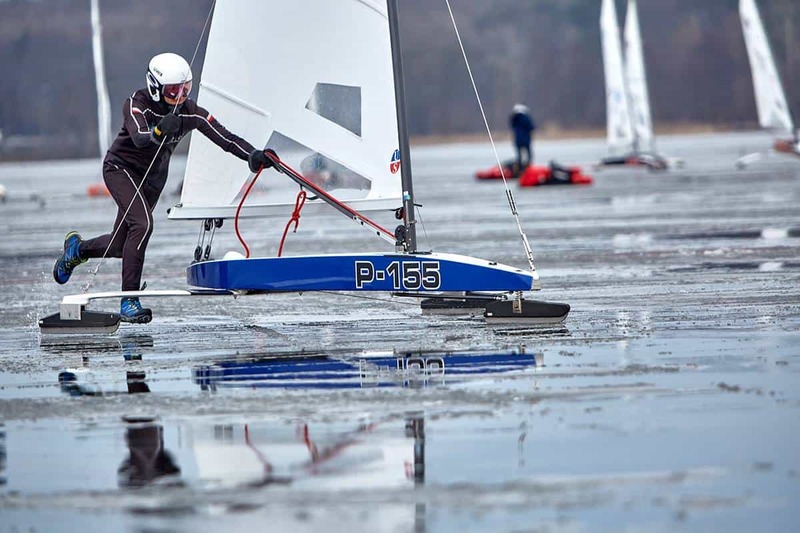 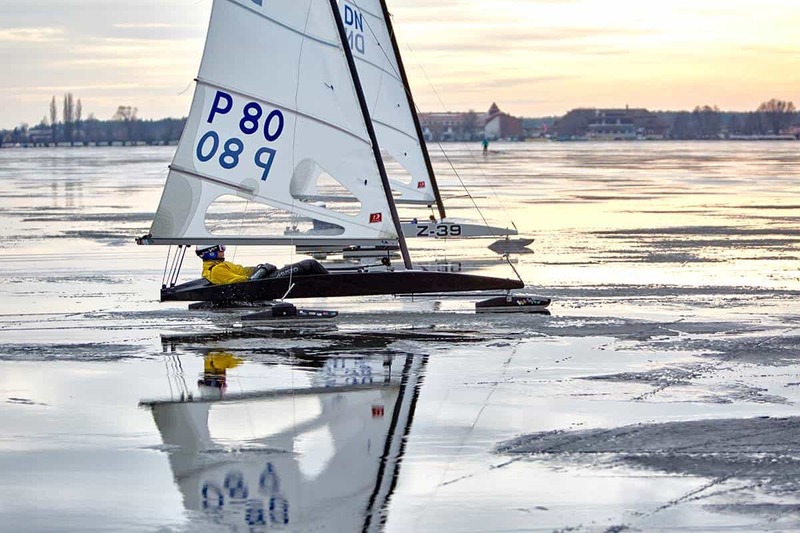 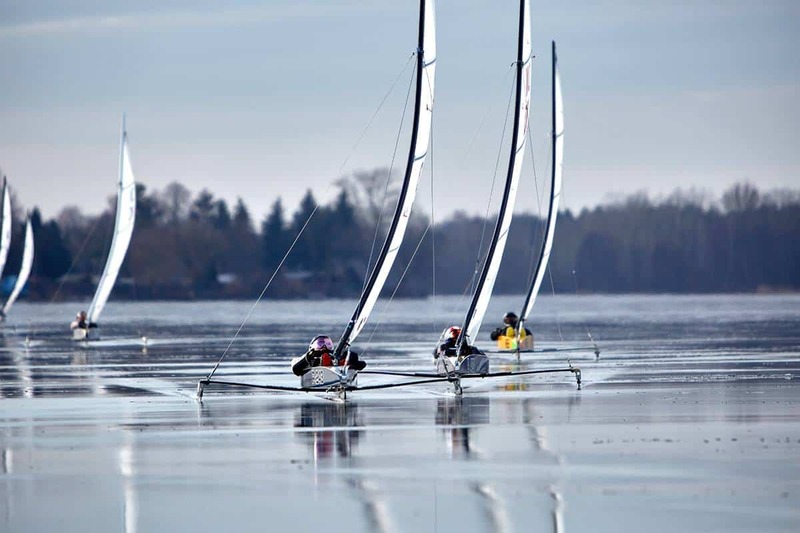 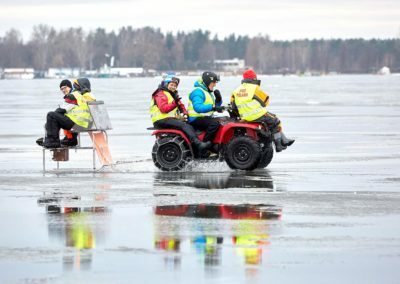 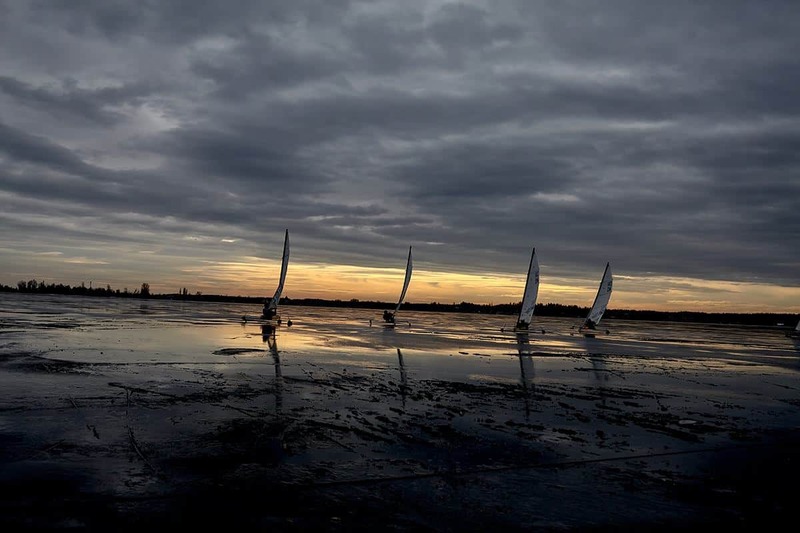 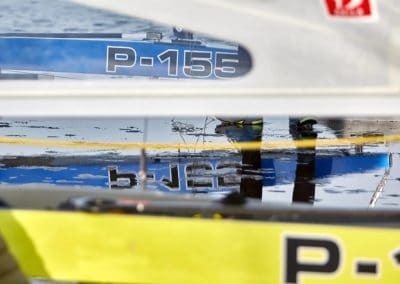 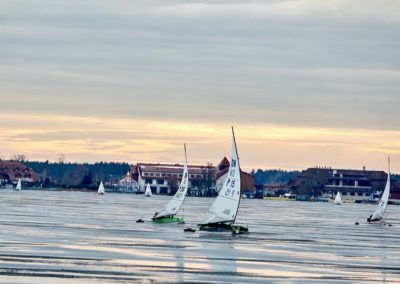 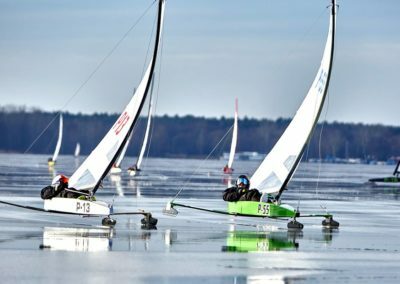 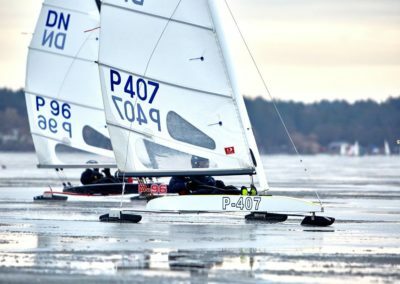 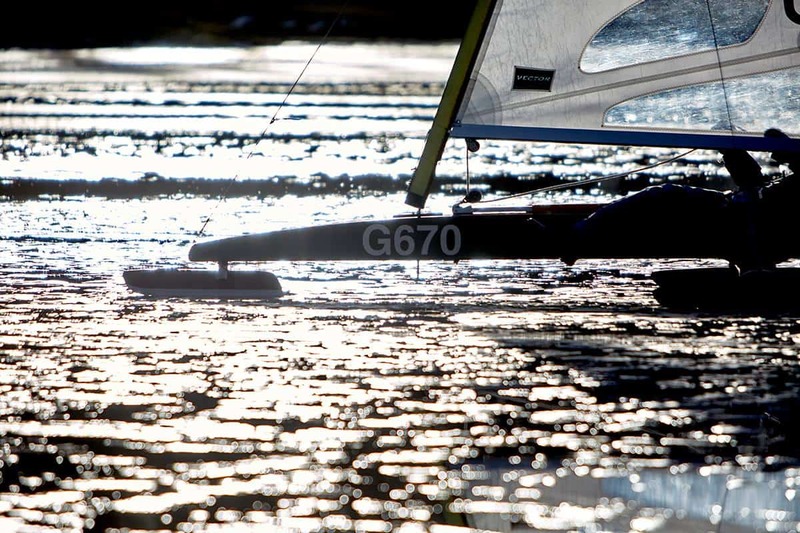 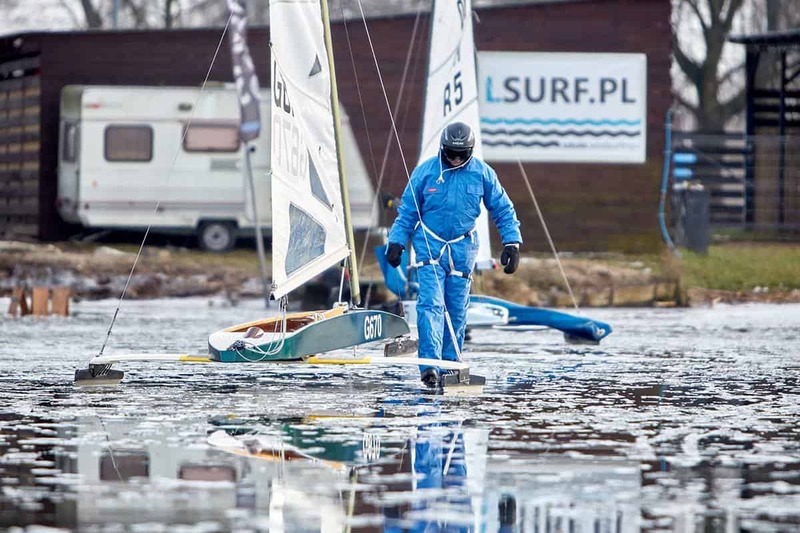 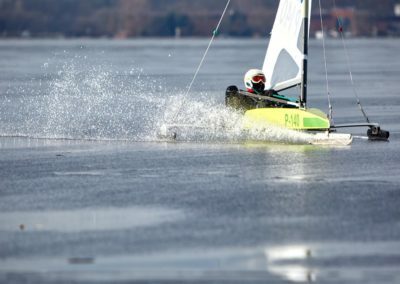 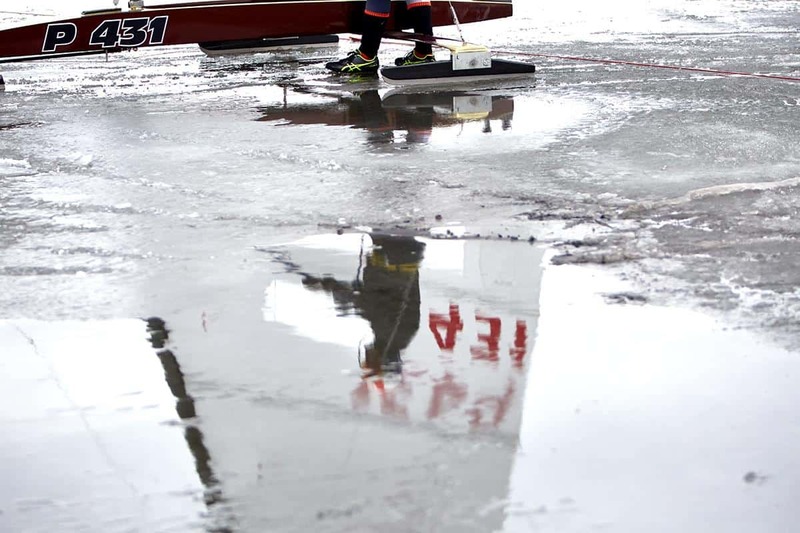 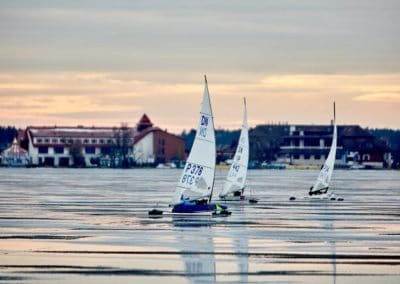 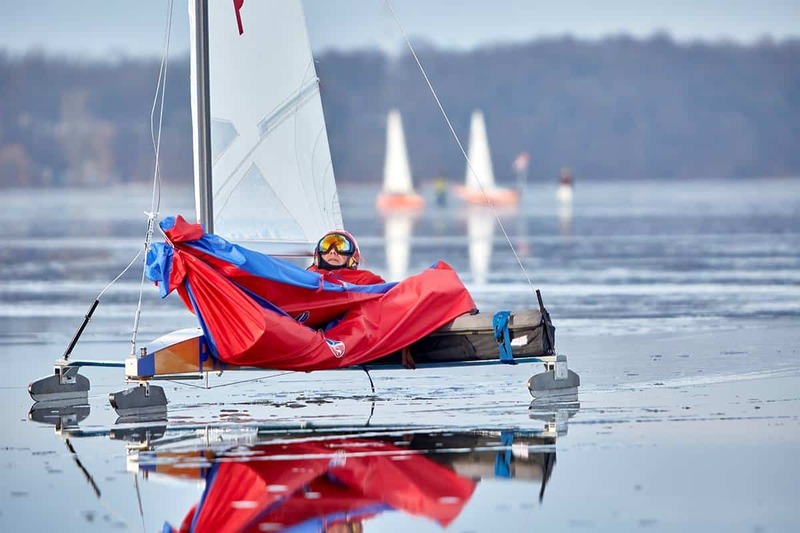 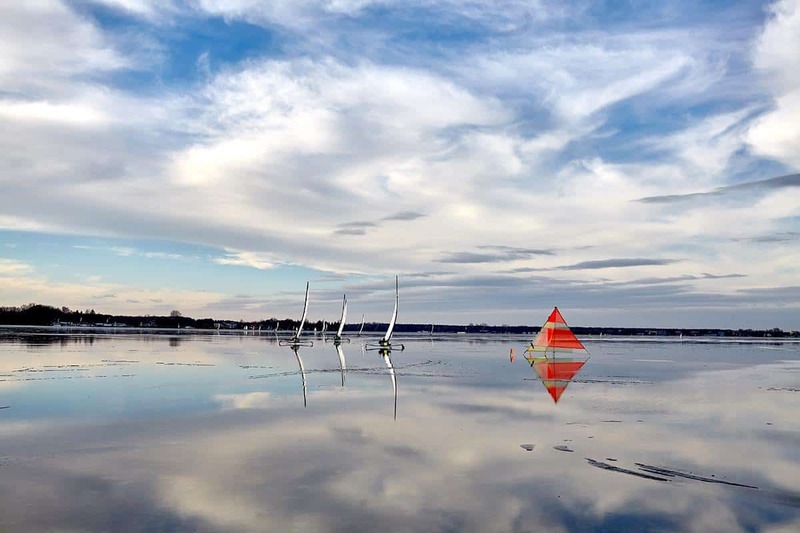 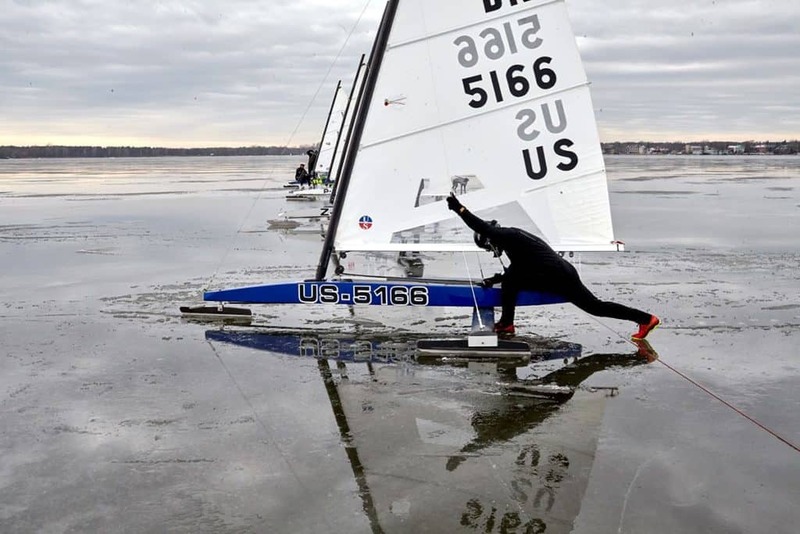 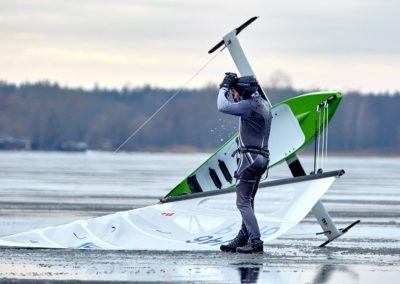 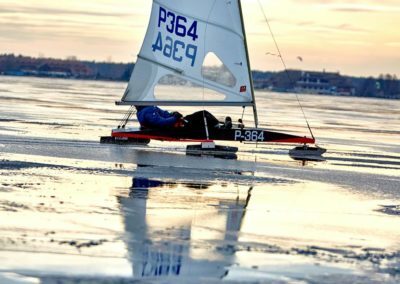 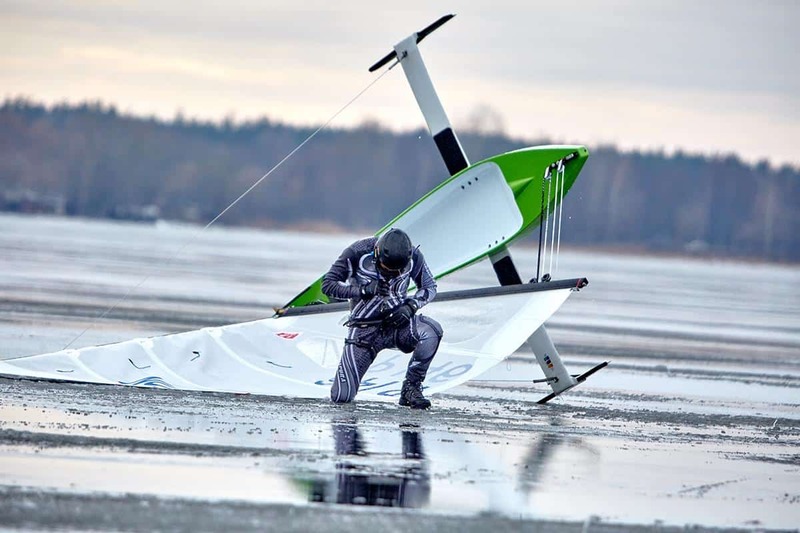 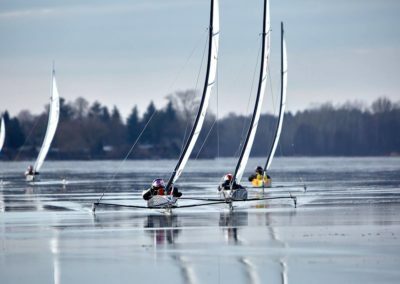 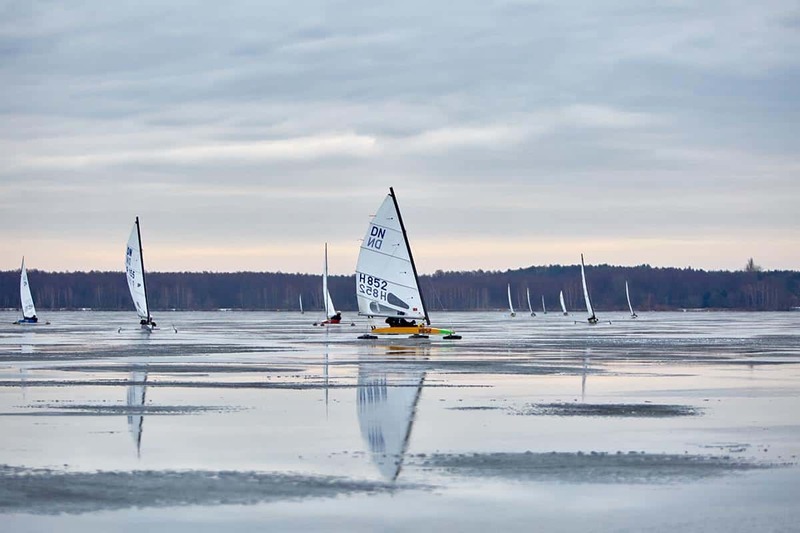 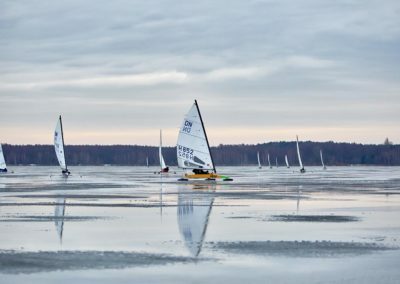 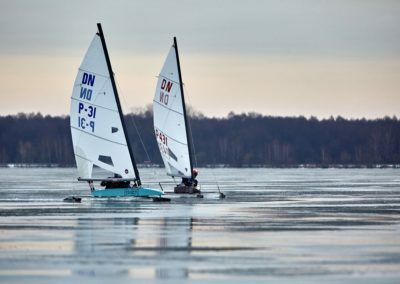 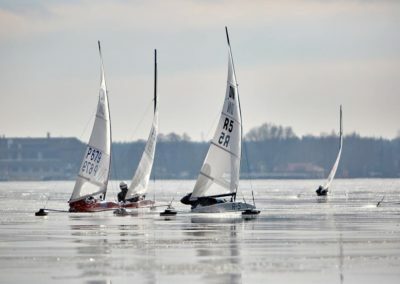 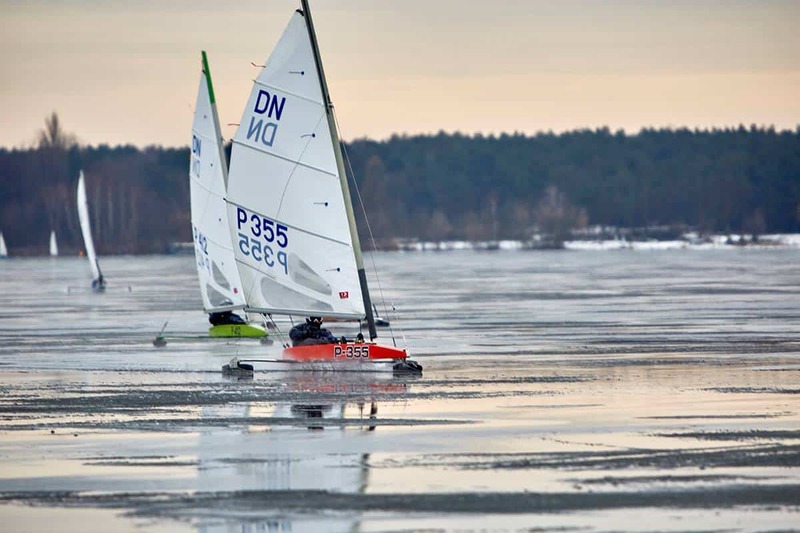 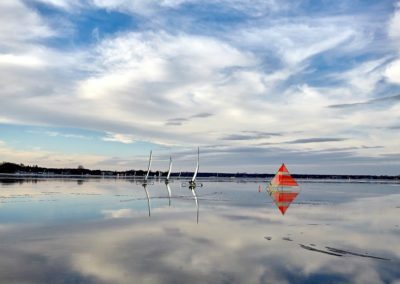 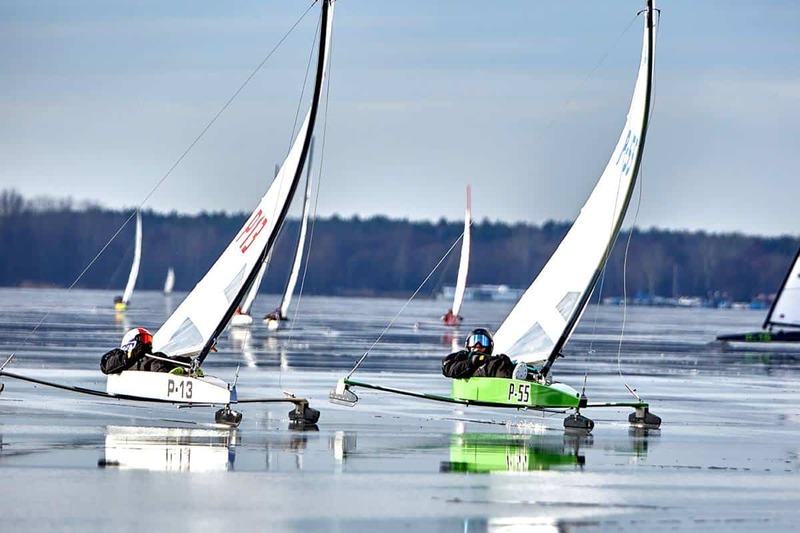 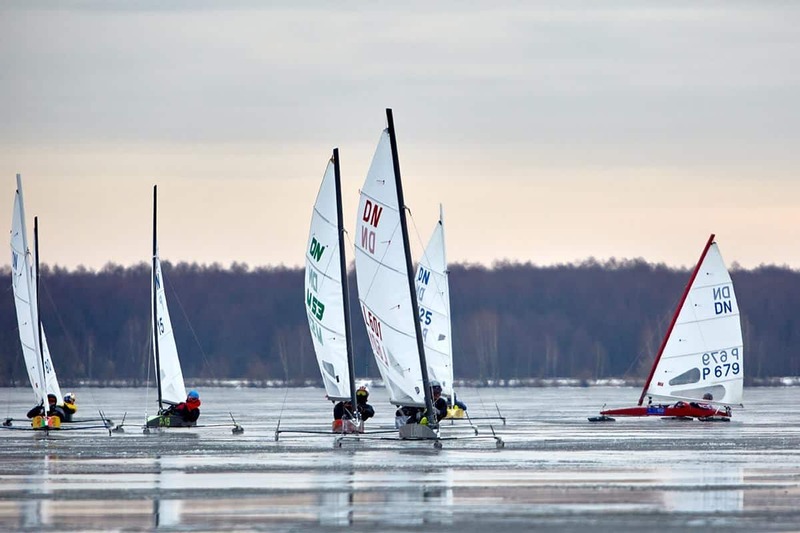 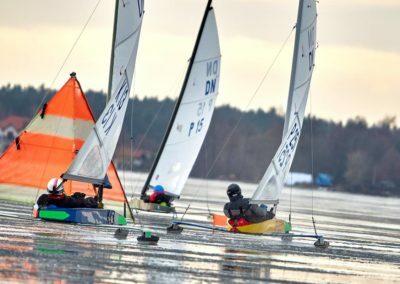 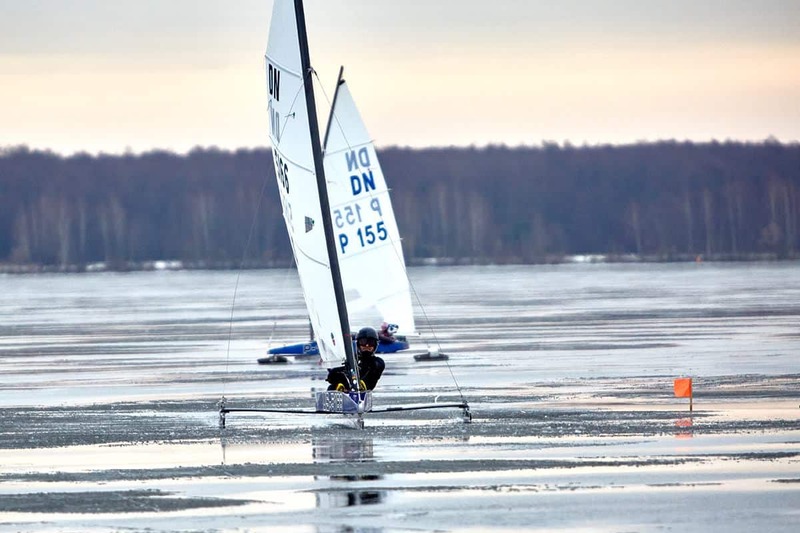 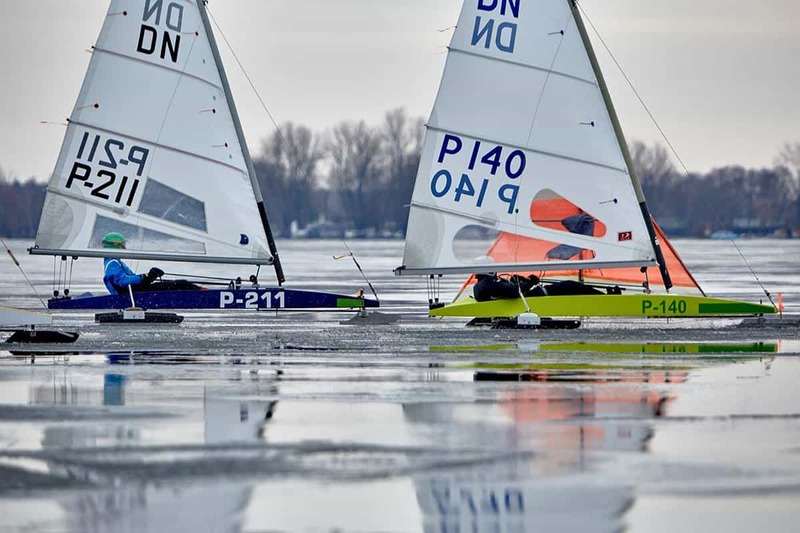 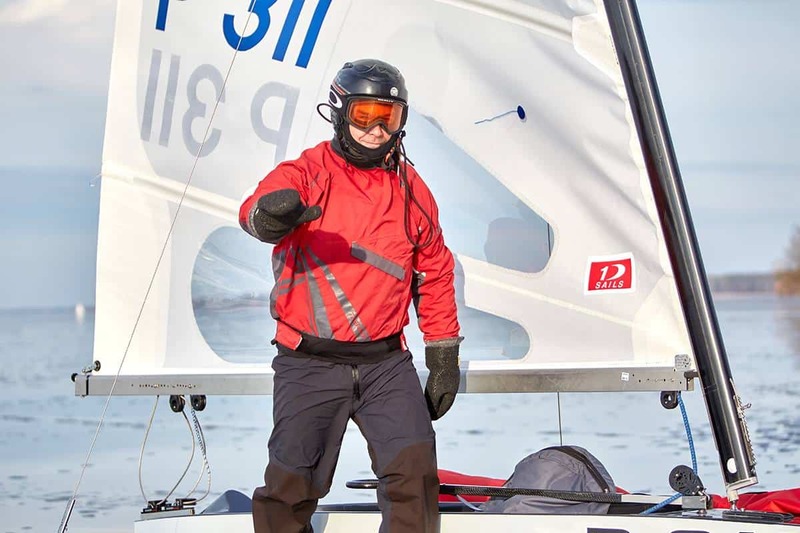 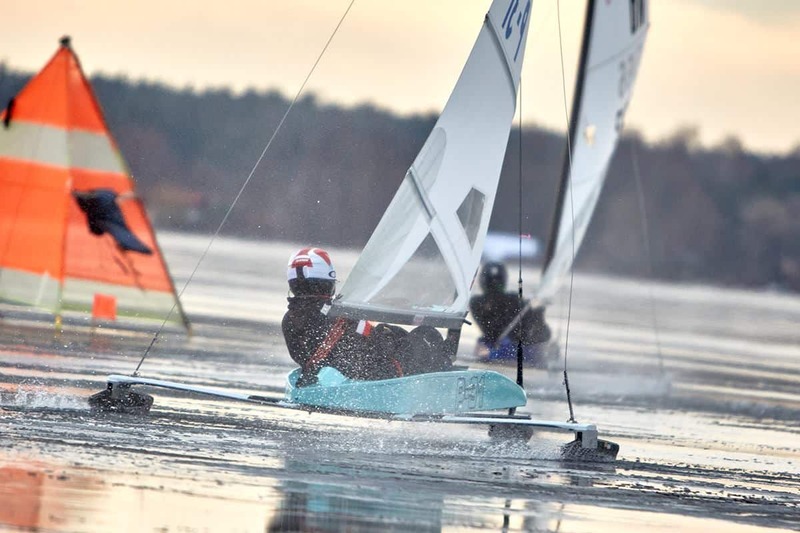 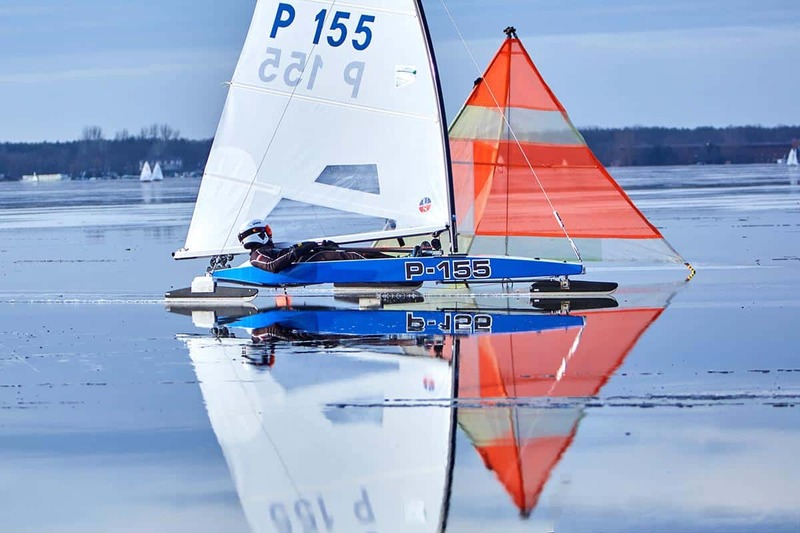 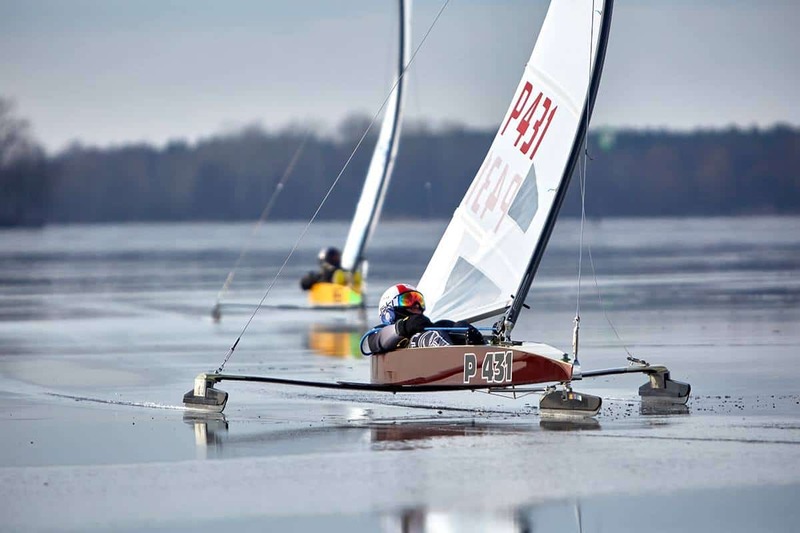 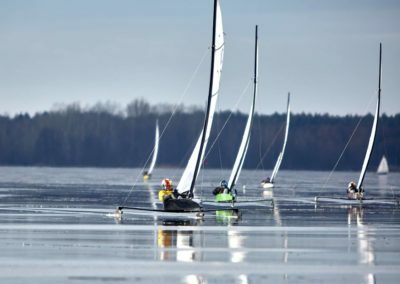 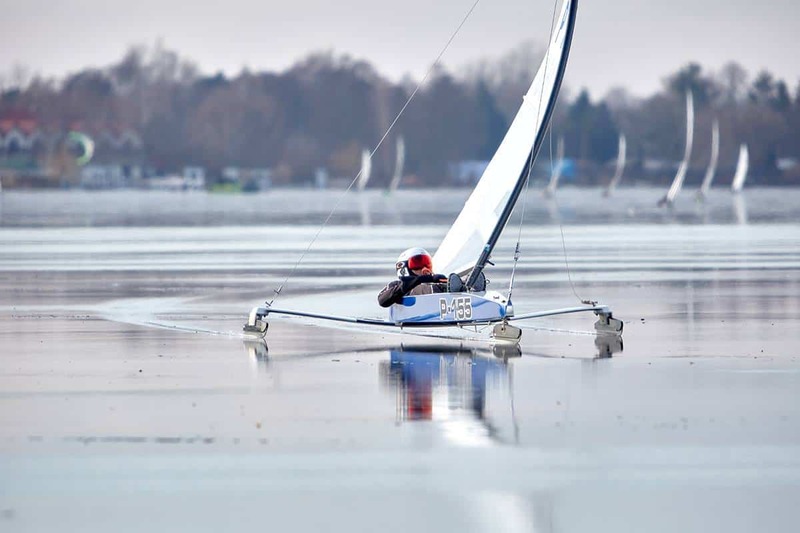 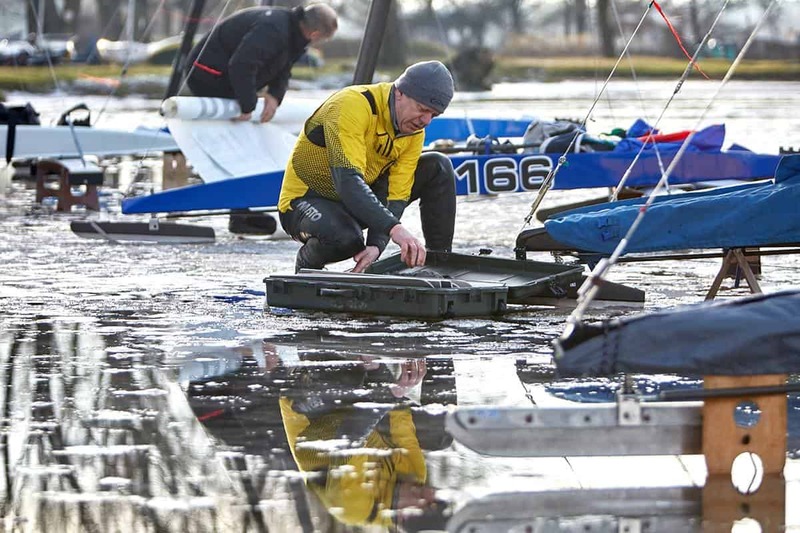 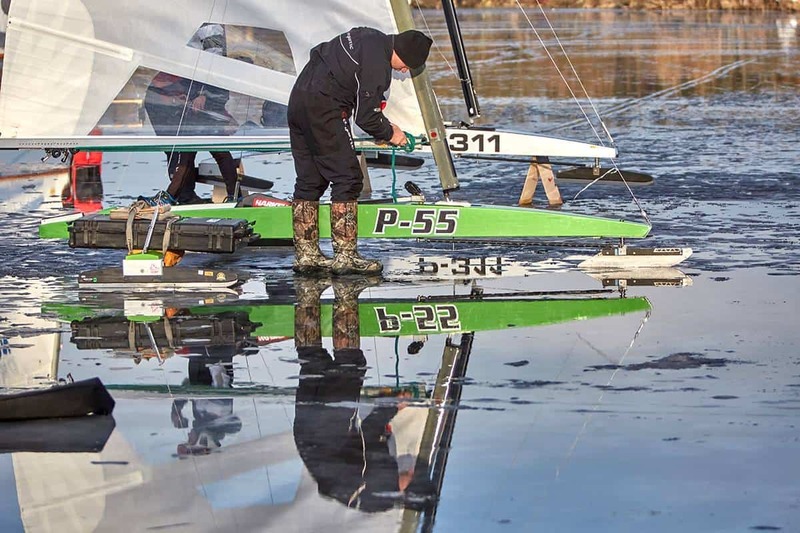 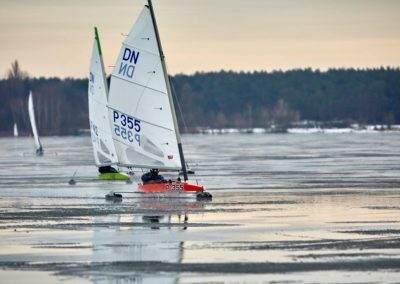 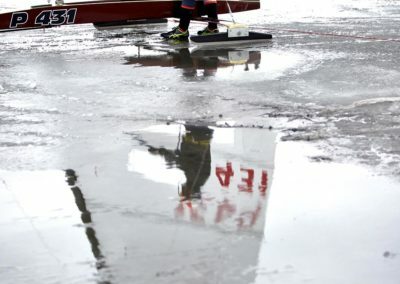 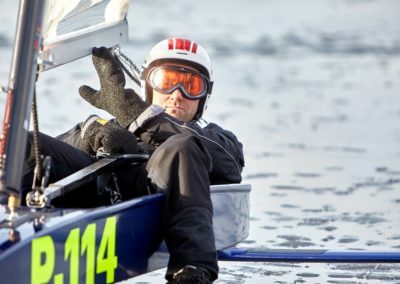 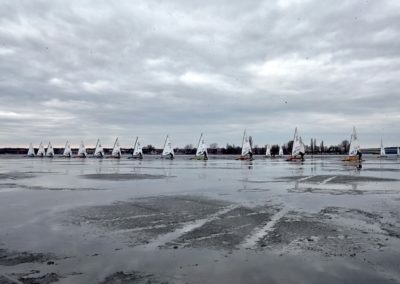 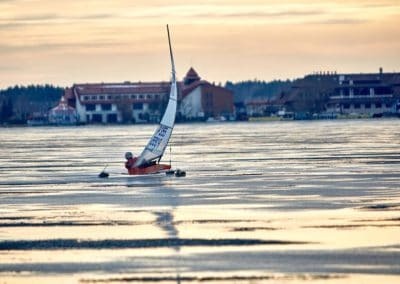 Like we saw last week at the European Championship, there’s a high level of competition at this regatta and in a few weeks, some of these ice sailors will be here for the Gold Cup. 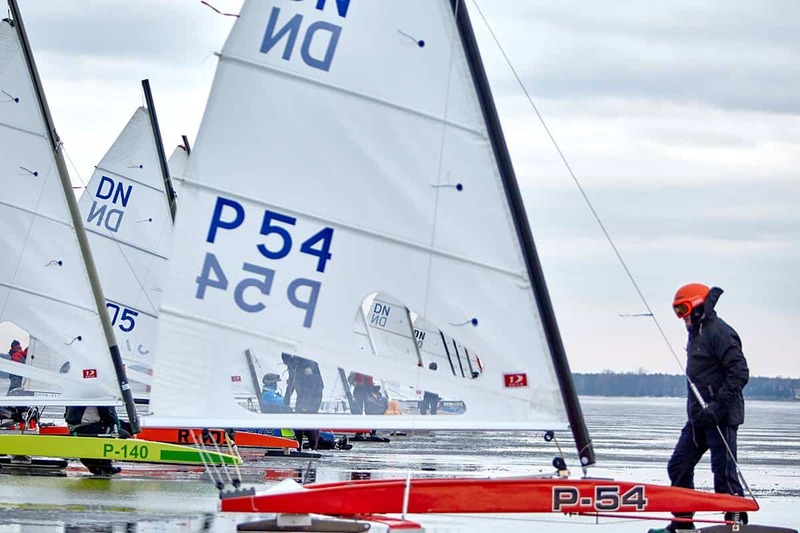 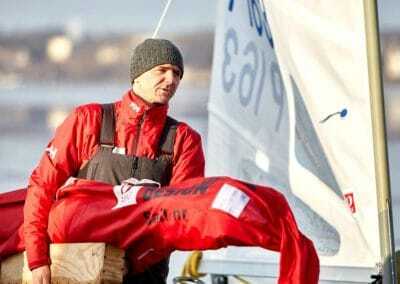 Chris Berger US5166 extended his stay in Europe to sail in this regatta. 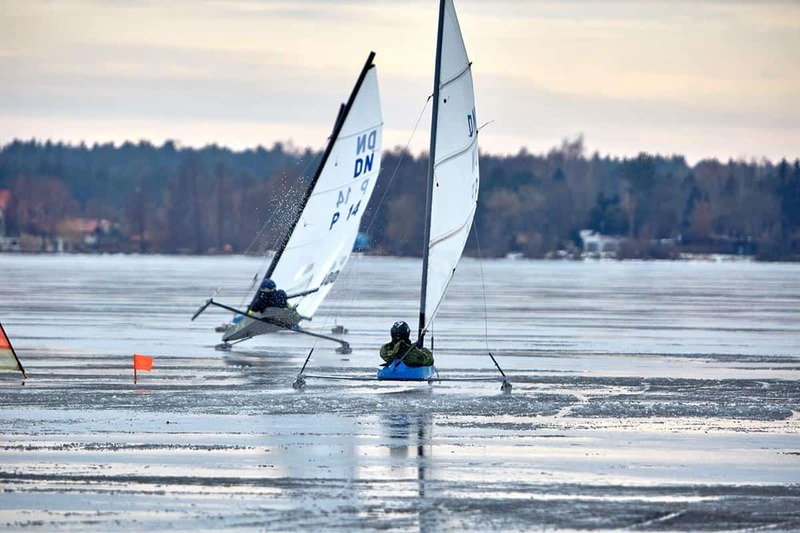 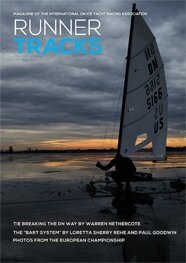 The ice looks wet, fast and racy. 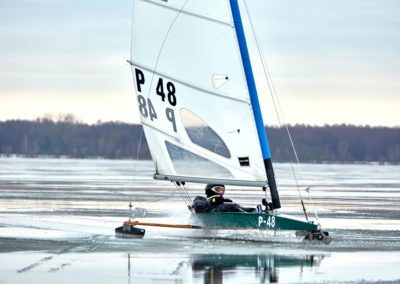 Robert Graczyk P31 is in first place tonight. Chris Berger is holding his own at 5th. Stay tuned for the conclusion tomorrow. 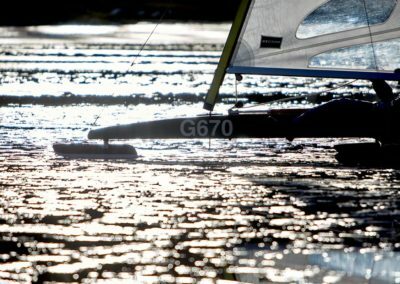 Photographer Gwidon Libera has again agreed to share his photos with us for which we are again grateful. 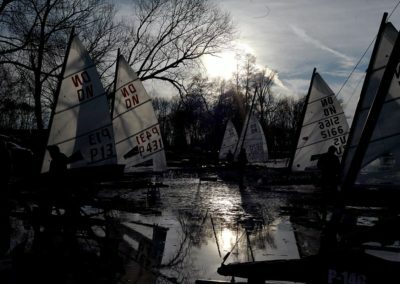 UPDATE: Gwidon’s photos are avilable for purchase here. 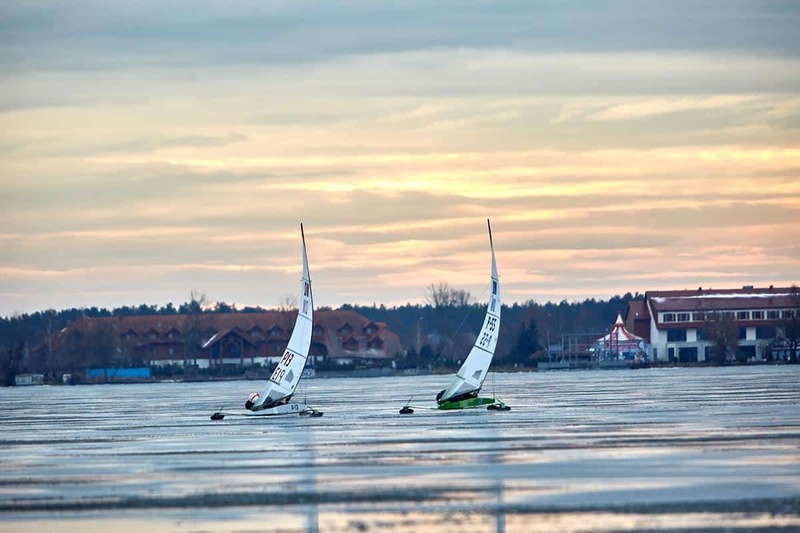 Bonus video below of some rush hour traffic mark-rounding from Ark Gim’s Facebook page.